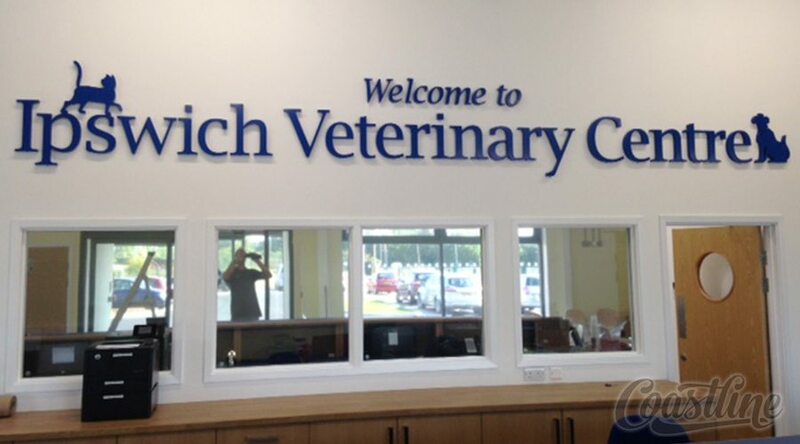 Quality and professional sign making. 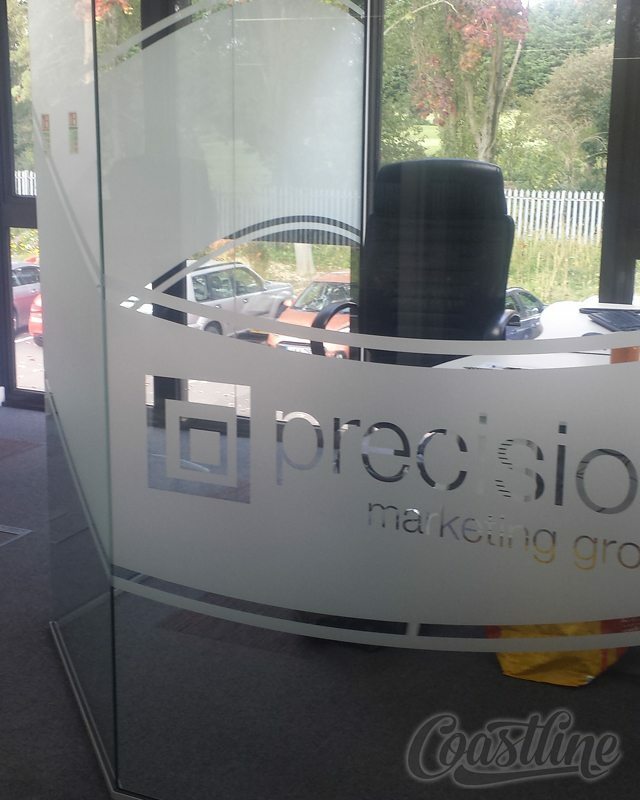 With nearly 30 years’ experience as sign makers, we are able to design, manufacture and fit all types of interior and exterior signage. 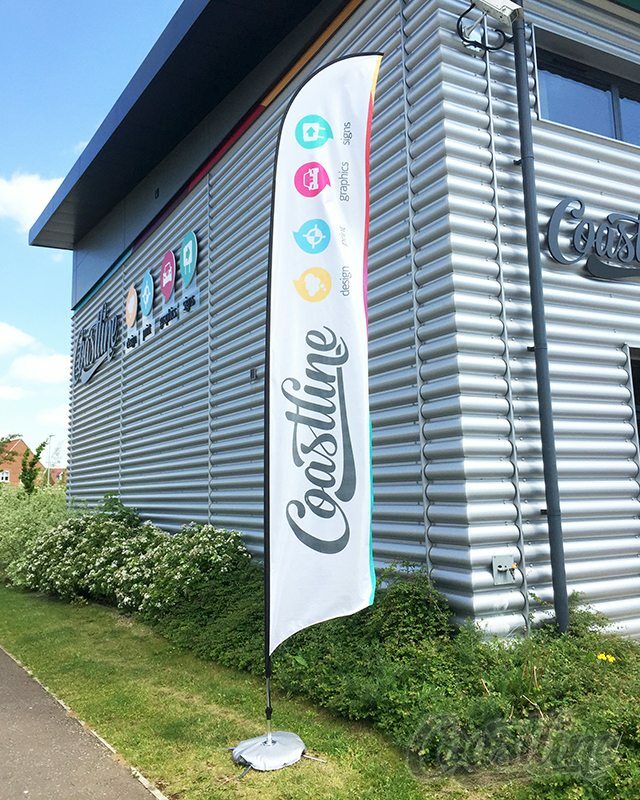 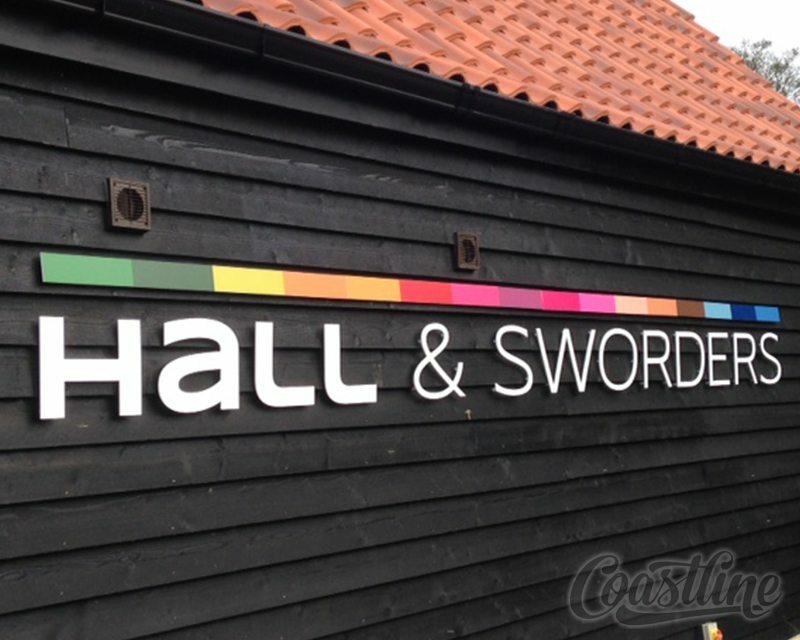 At Coastline Graphics we combine the highest standards of sign making quality and professionalism with local knowledge to offer our customers an unbeatable and unrivalled sign making service. 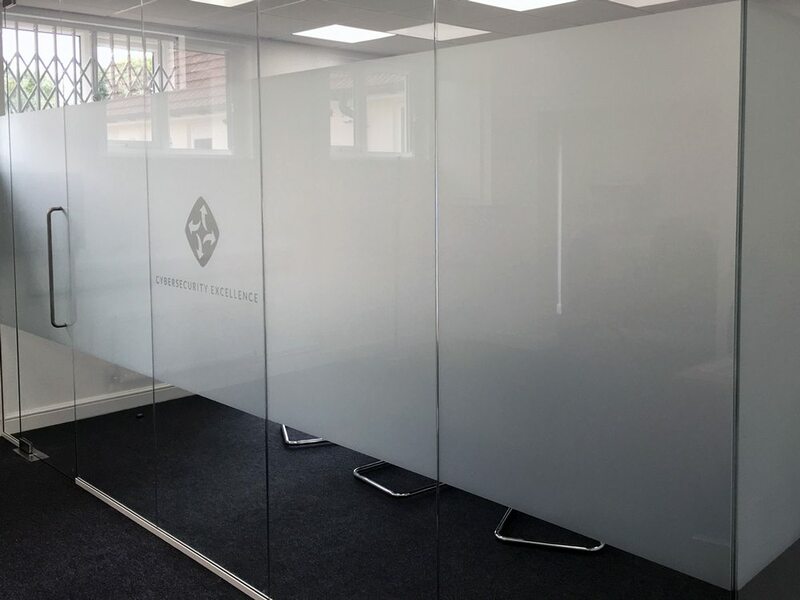 We offer a comprehensive service including the option to make use of our bespoke installation service, available across the whole of the UK. 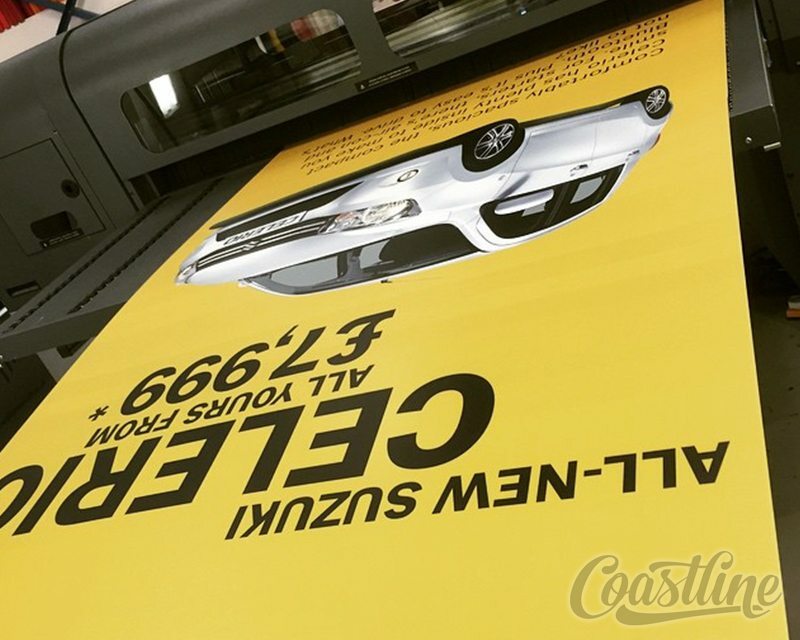 We can take care of everything starting with the design and printing of your large format banner and ending with its on-site installation. 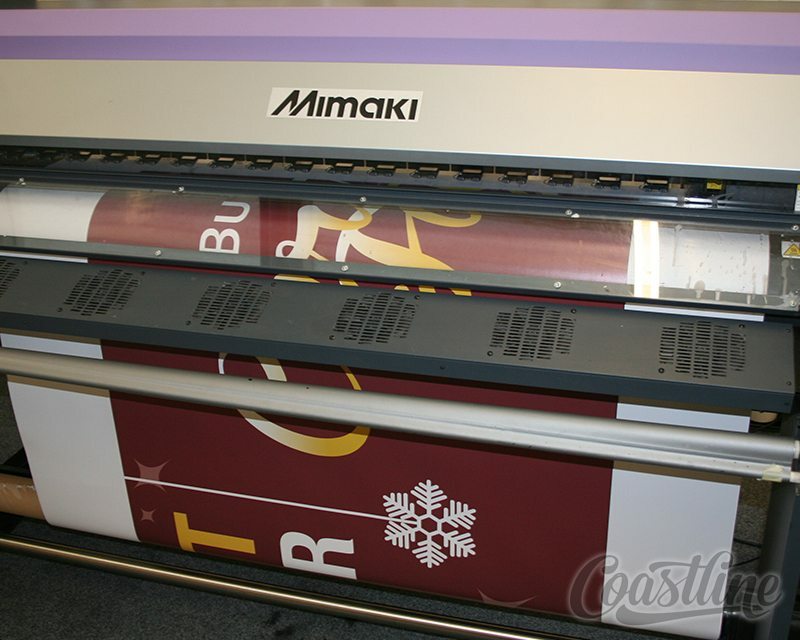 We create all signage in house with our cutting edge machinery. 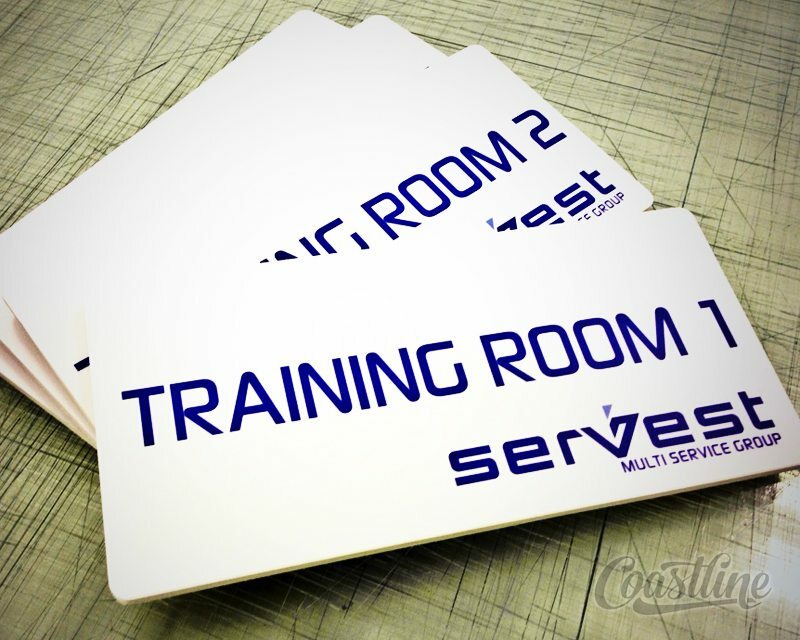 We have a large flat bed router capable of producing custom shape signage and engraving and a dedicated sign-making team ready for the next challenge! 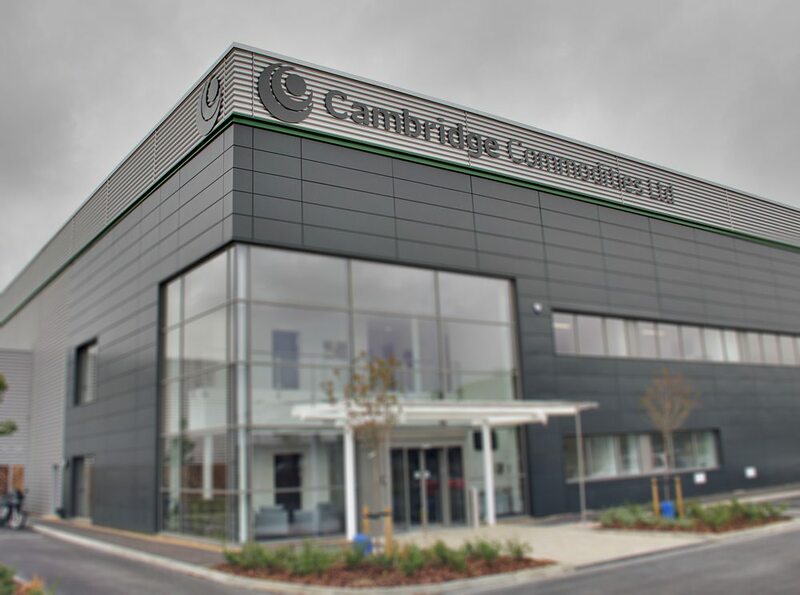 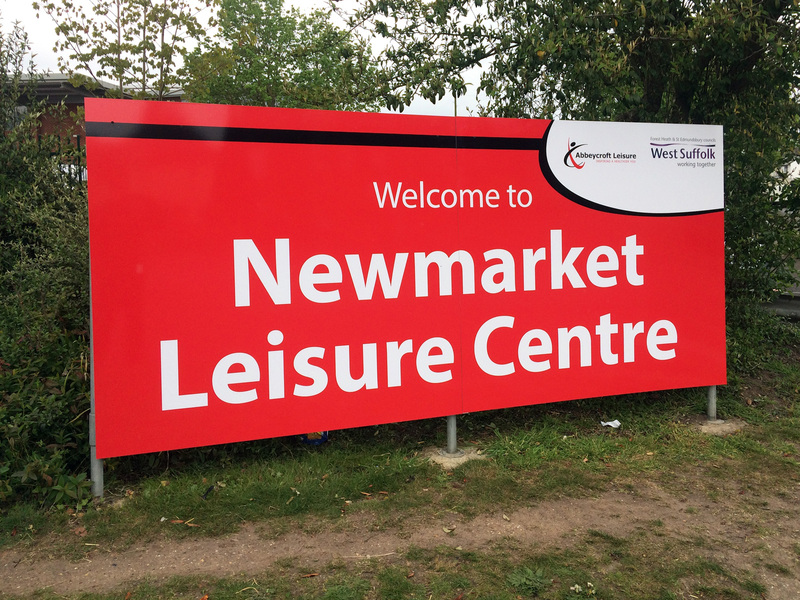 If you have any signage requirements, do get in touch and we will be pleased to discuss these with you, and you may be surprised to learn how competitive our prices are. 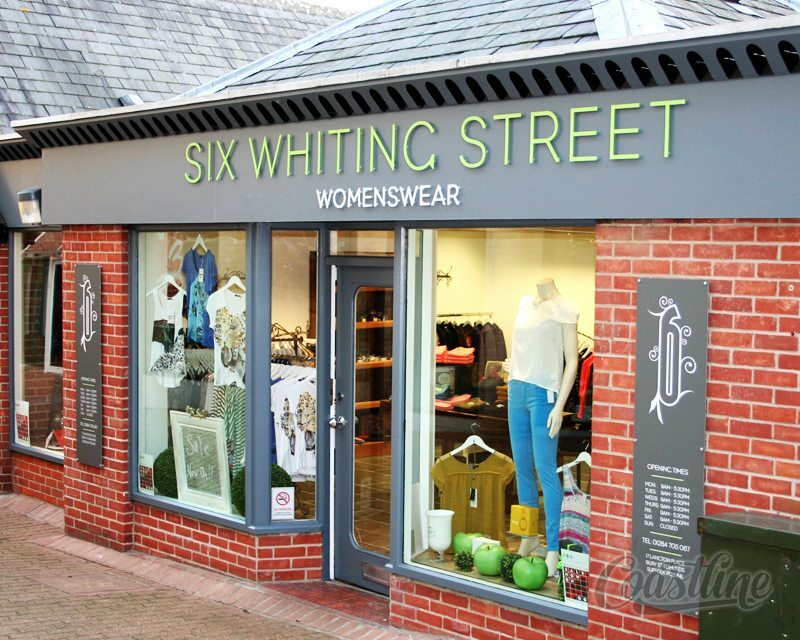 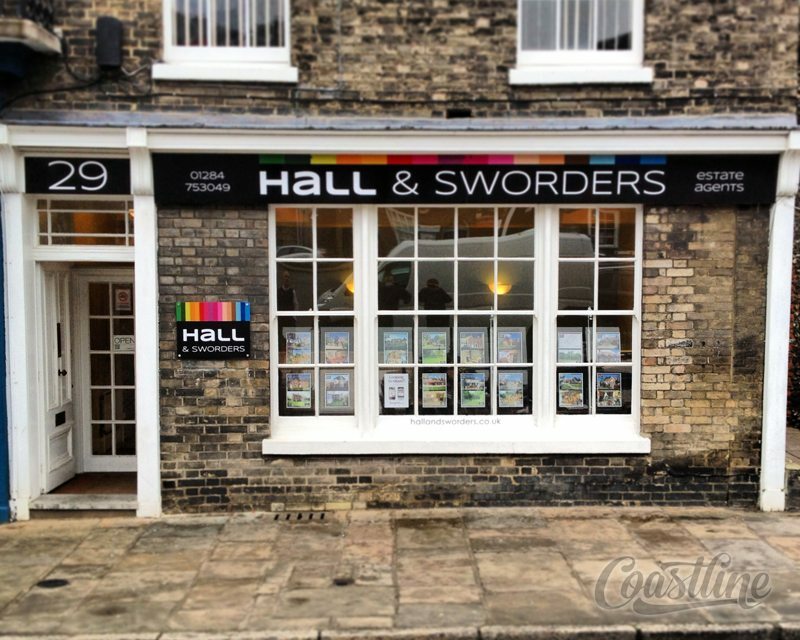 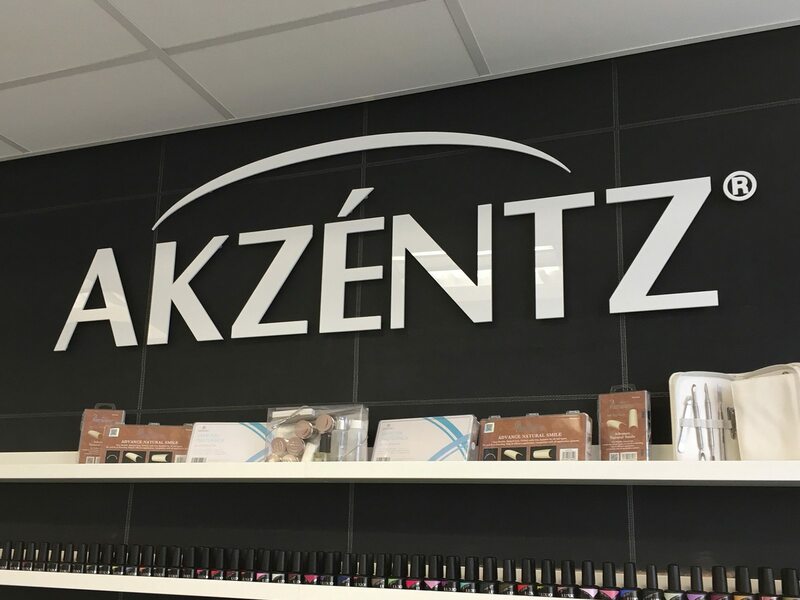 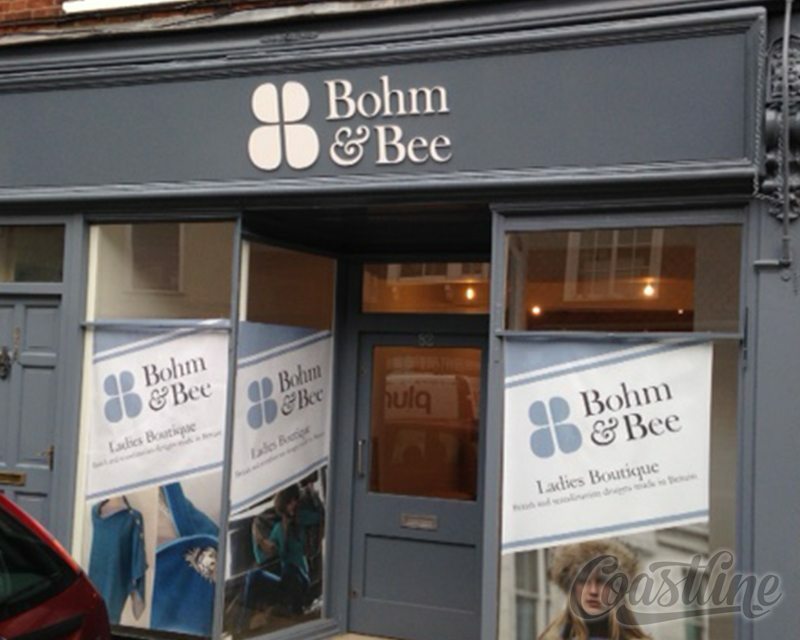 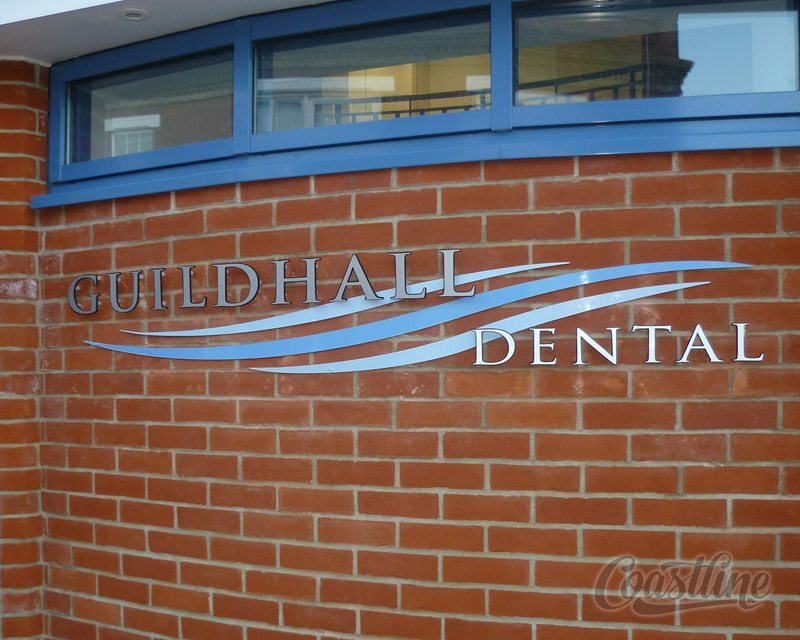 We provide a full spectrum of fascia style possibilities to provide a familiar identity for your brand, creating a lasting impression on your customers. 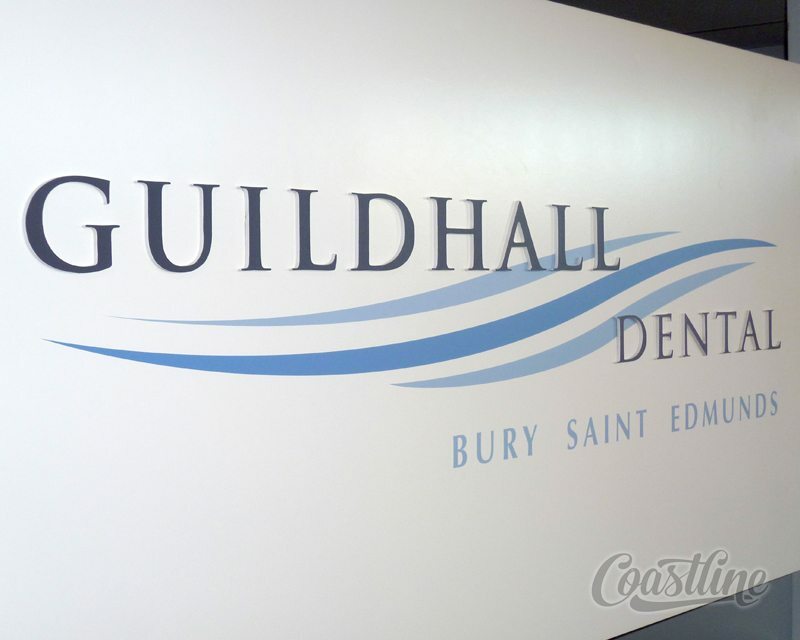 Signage is an effective type of promotional design that instantly indicates who you are and what you do. 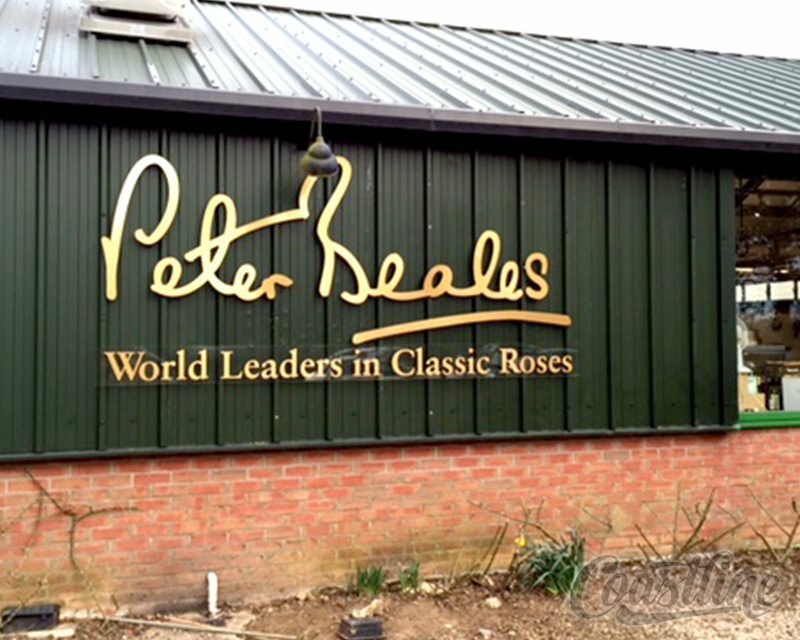 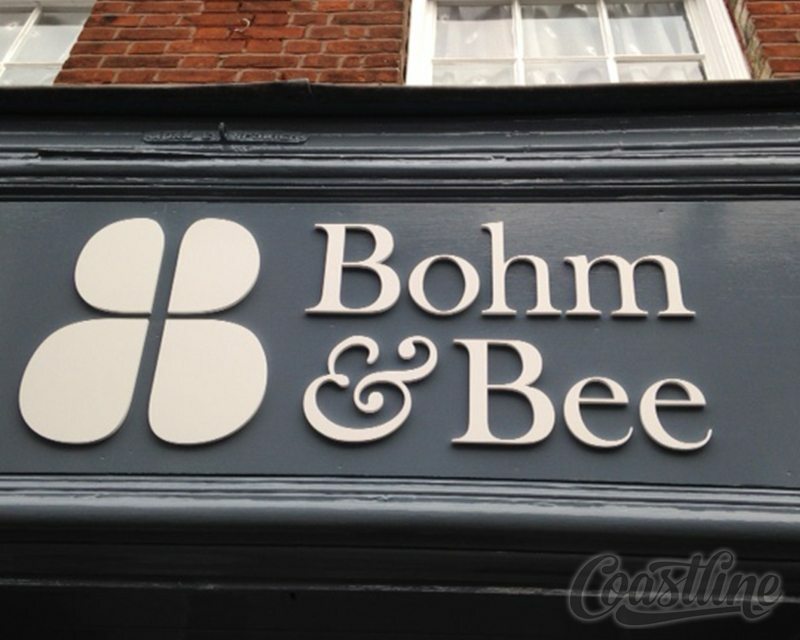 Our skilled and experienced team can design, manufacture and fit your fascia; transforming your brand into a contemporary visual masterpiece. 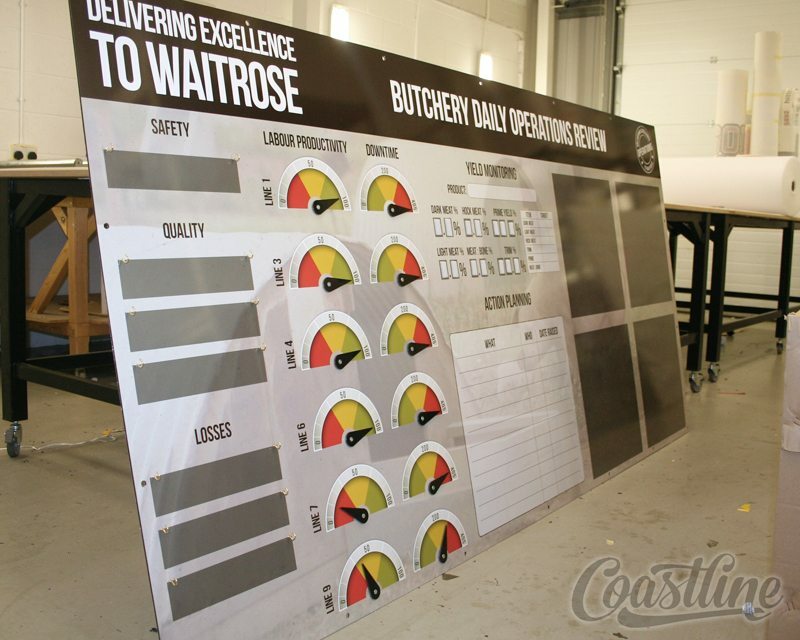 If you are stuck on ideas or want to know about the best use of material, then we are here to help; our design team are able to present a variety of ideas, working from your own thoughts or even a blank canvas. 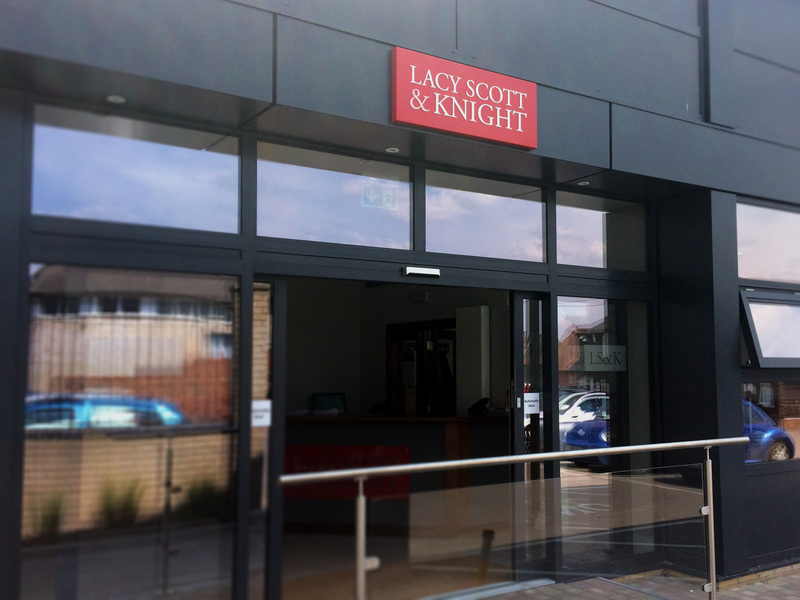 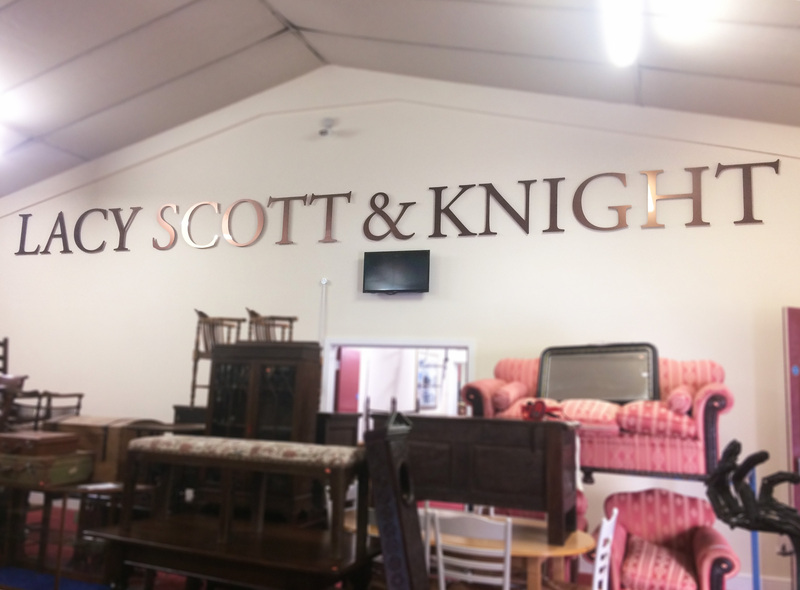 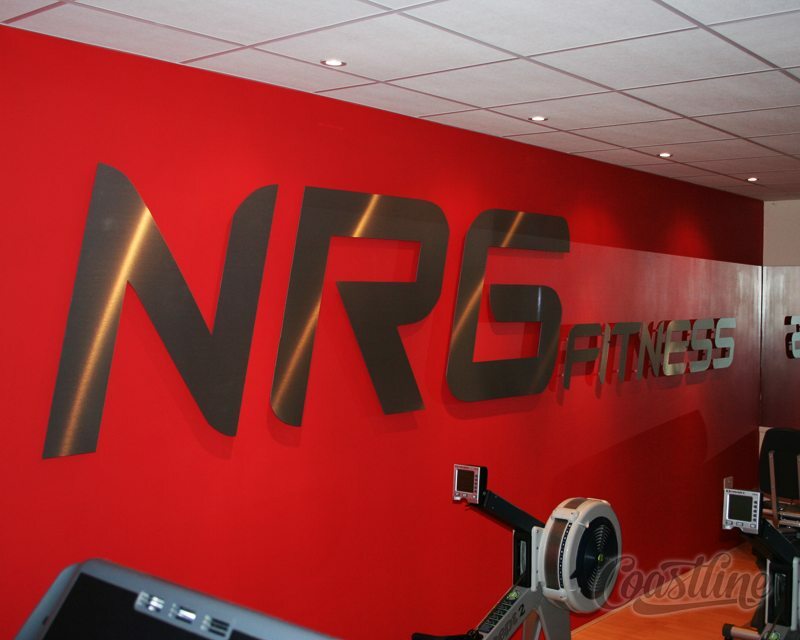 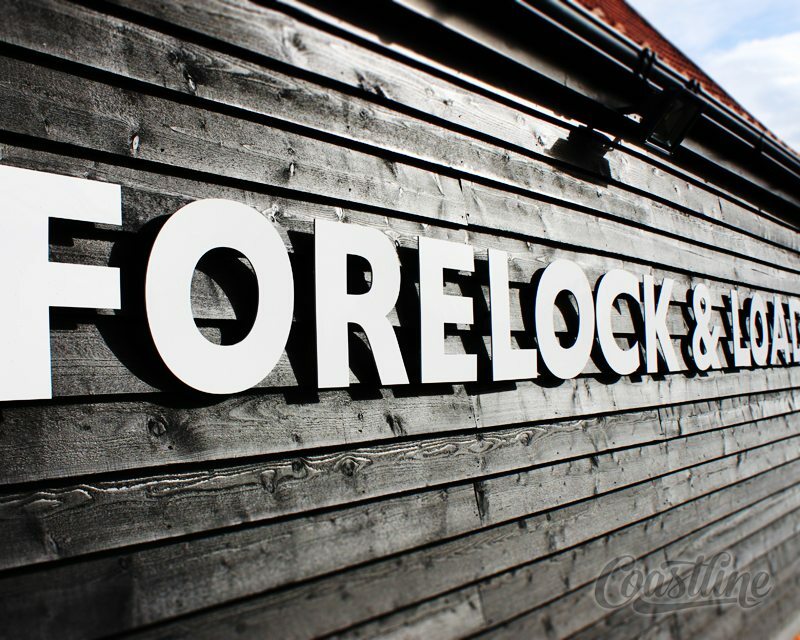 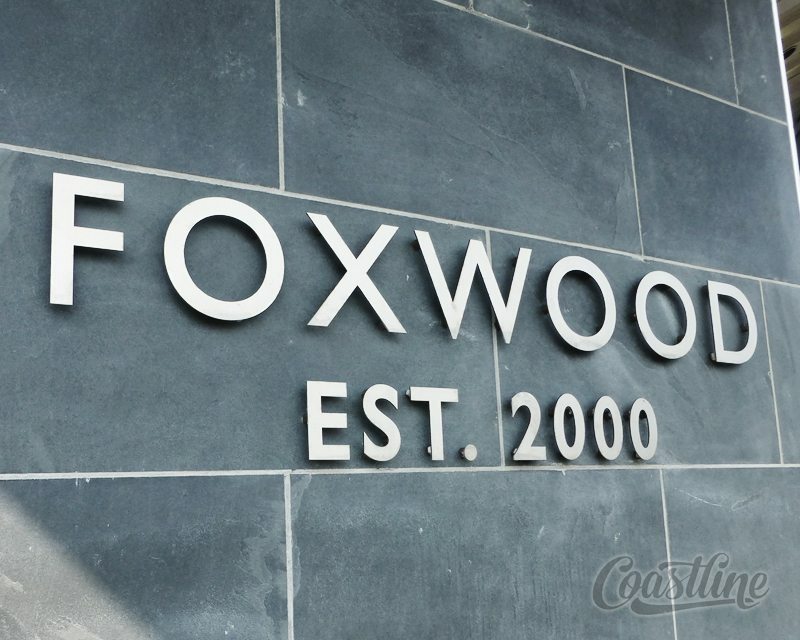 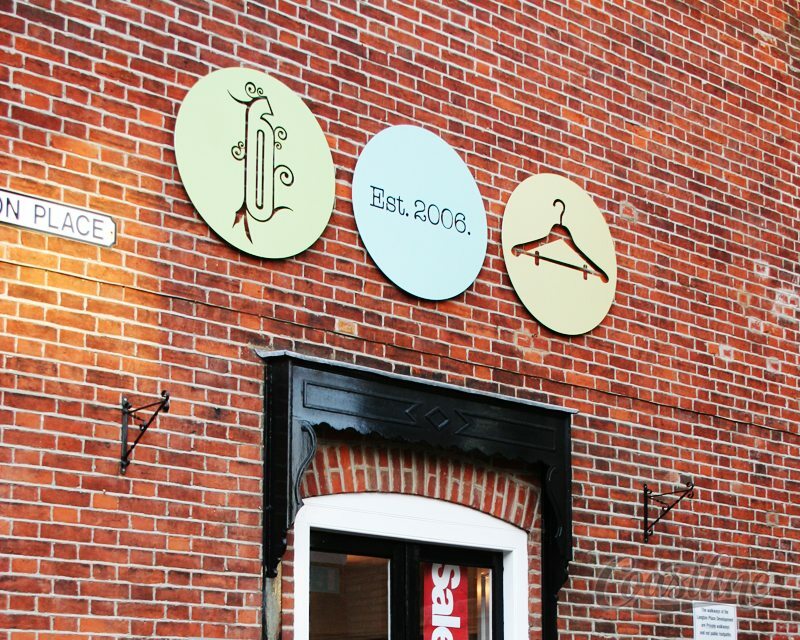 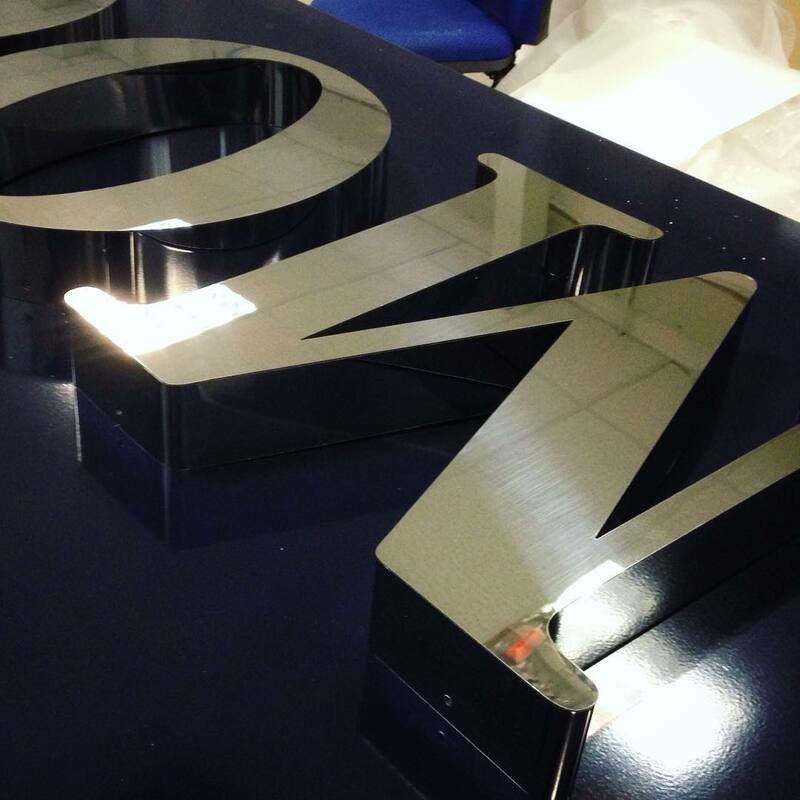 Using flat cut or built up stand off lettering we can create visually stunning internal or external signage. 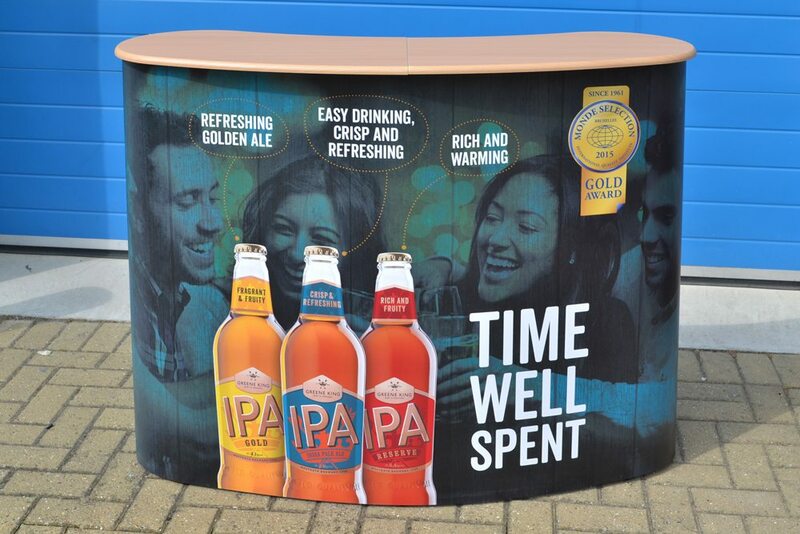 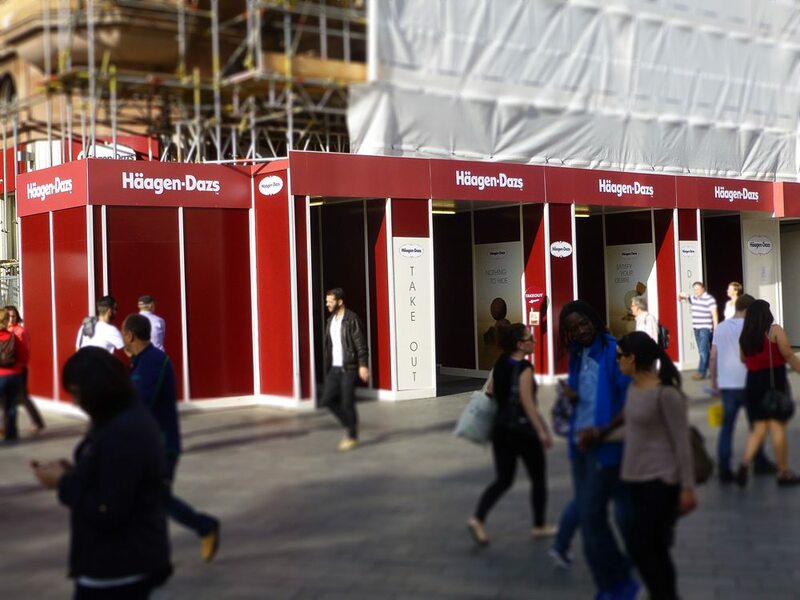 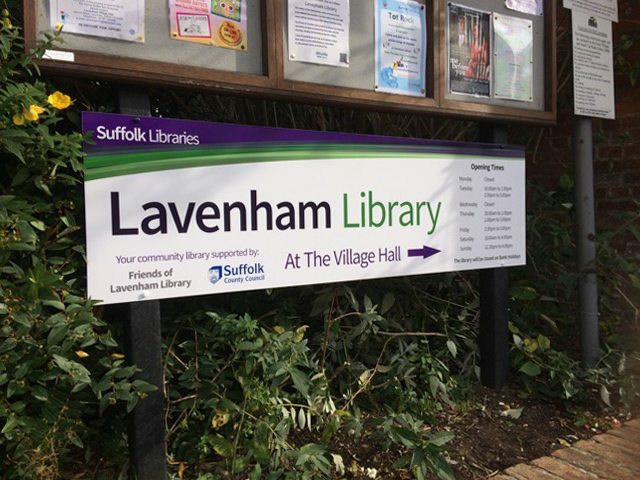 Constructed from a wide versatile range of materials including aluminium, stainless steel, acrylic, wood & Foamex you can find a solution to suit any budget ensuring you deliver your message with impact. 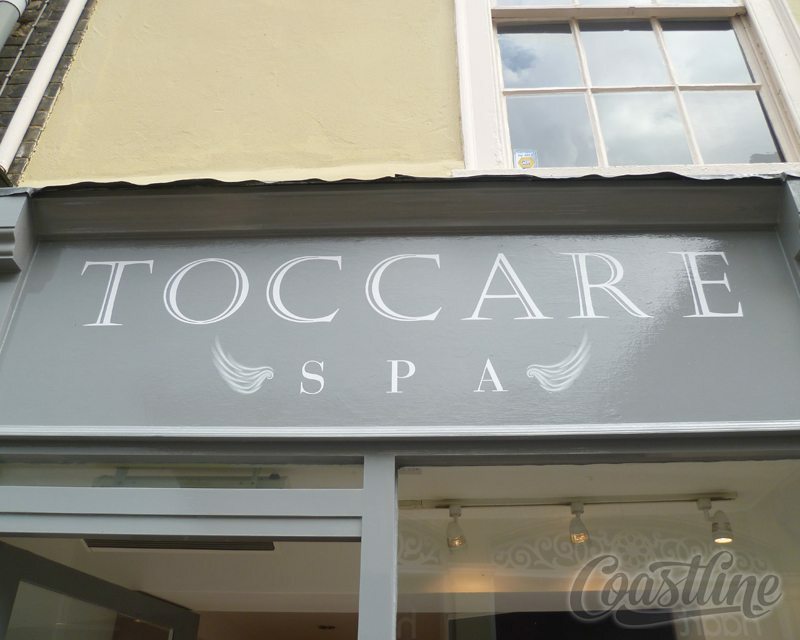 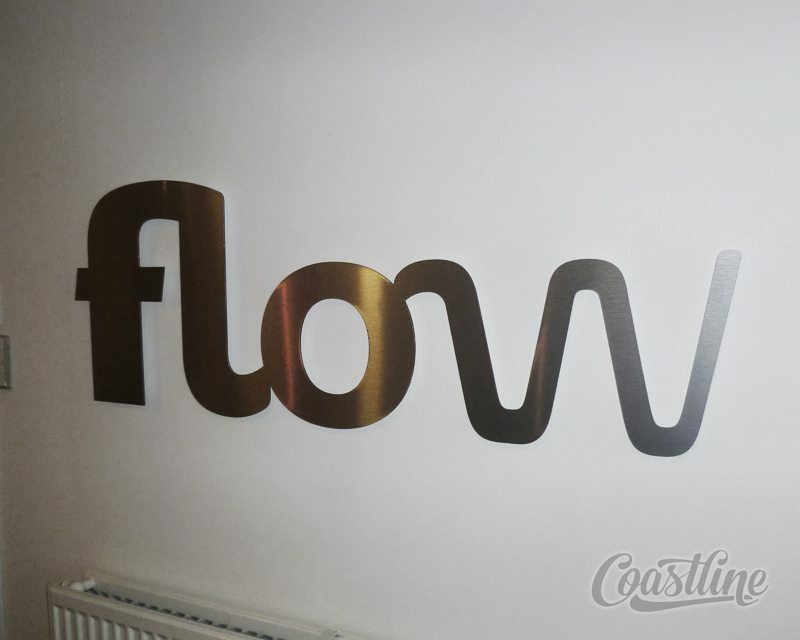 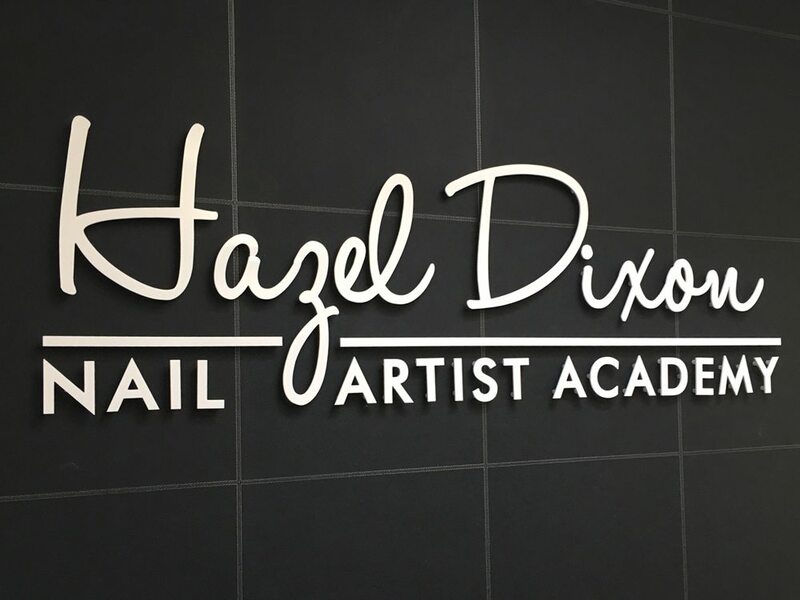 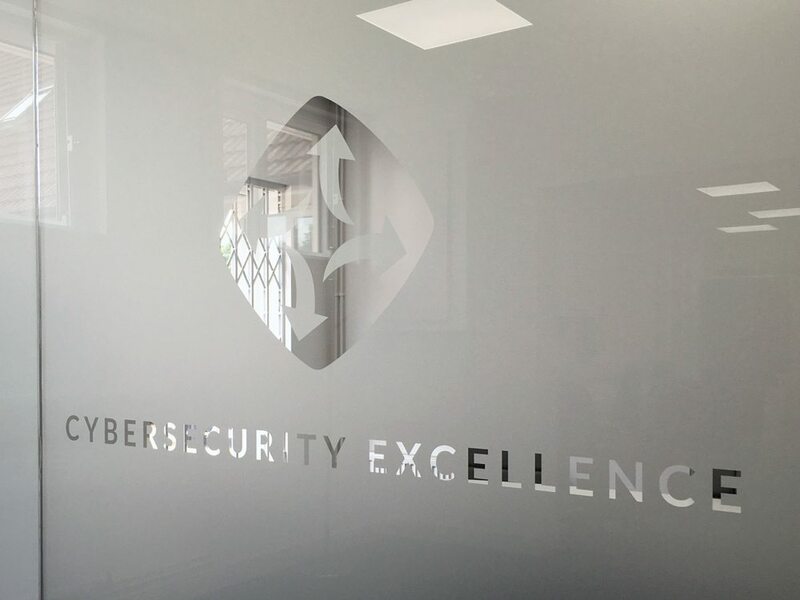 Built up stand off lettering can also be illuminated from within using white or coloured LED lights creating a stunning halo effect around you lettering and making sure you identify business with style. 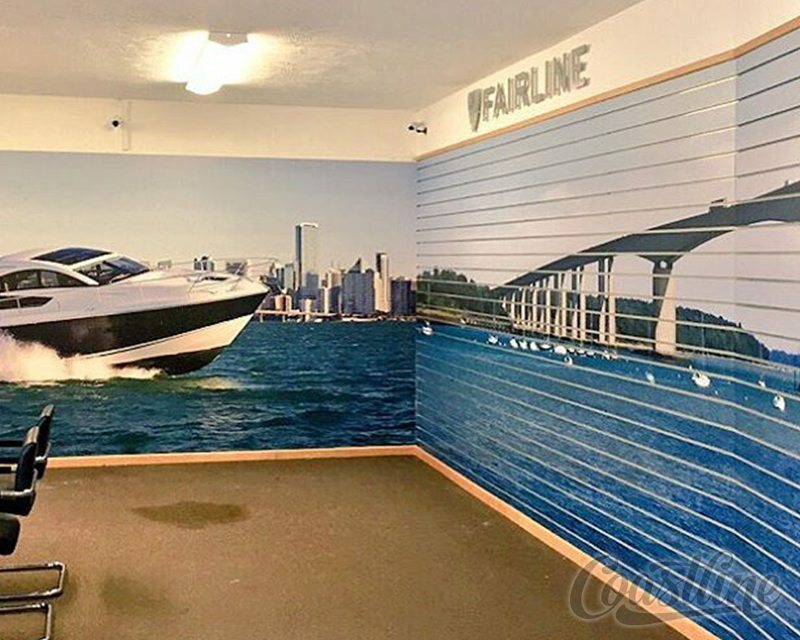 You only get one chance to make a good first impression, so when inviting clients to your office make sure your surroundings represent your brand and have a professional look. 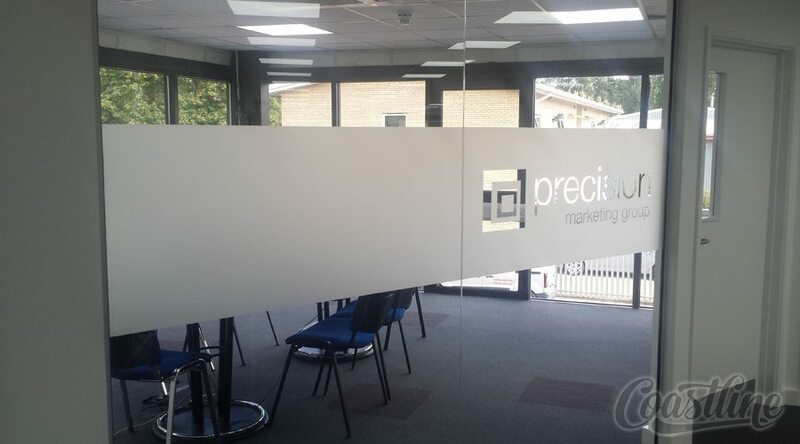 From window frosting/manifestations, welcome signage, directional signage, or full colour printed wall wraps, the possibilities are endless. 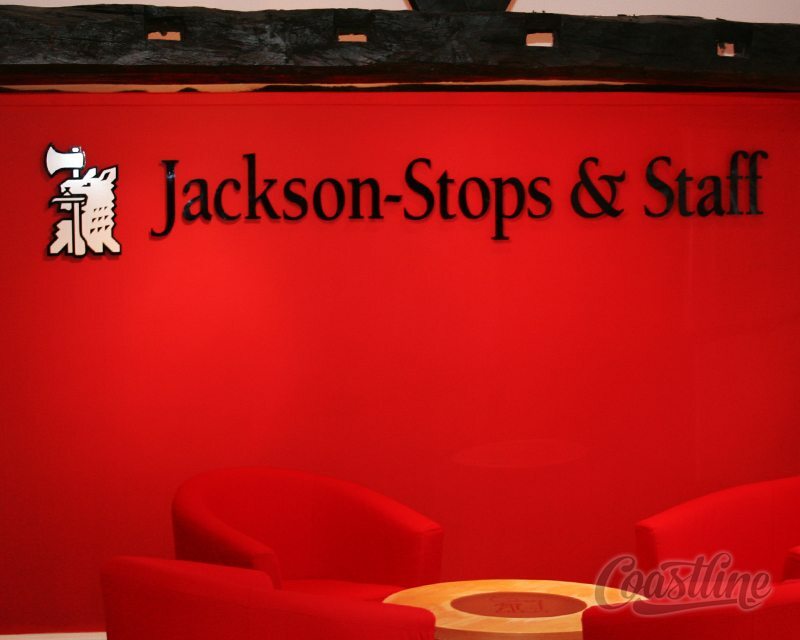 Speak to one of our team today, we would be happy to help guide you through the options. 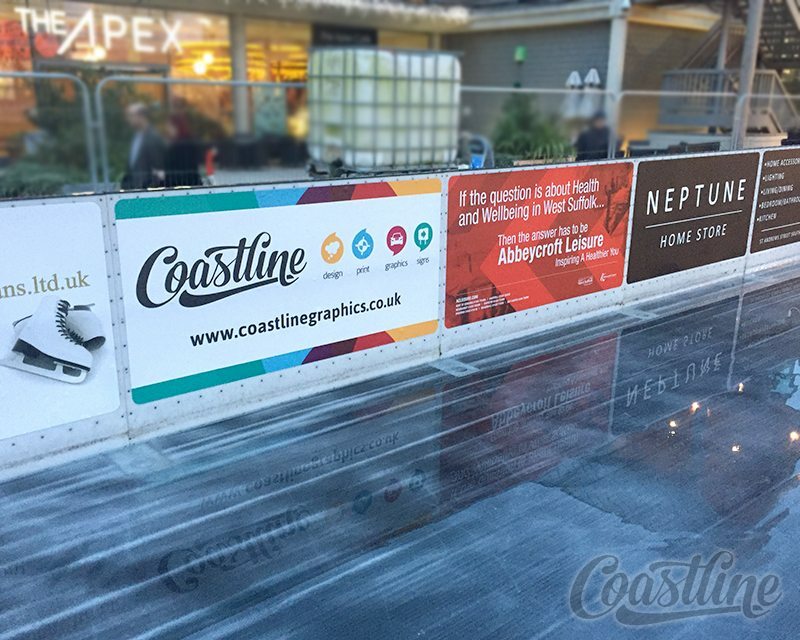 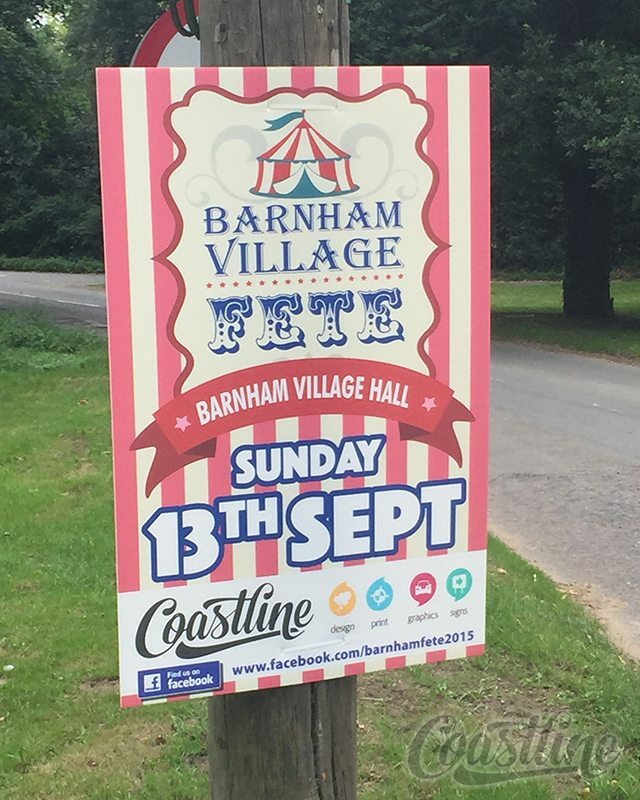 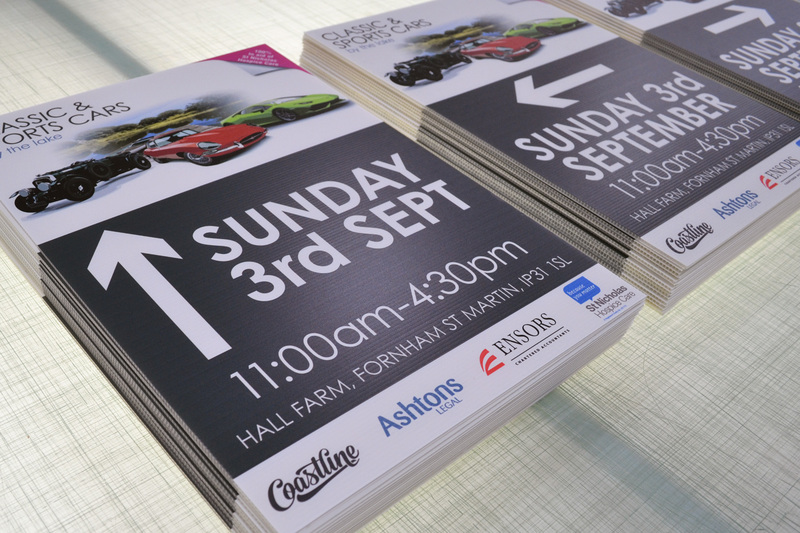 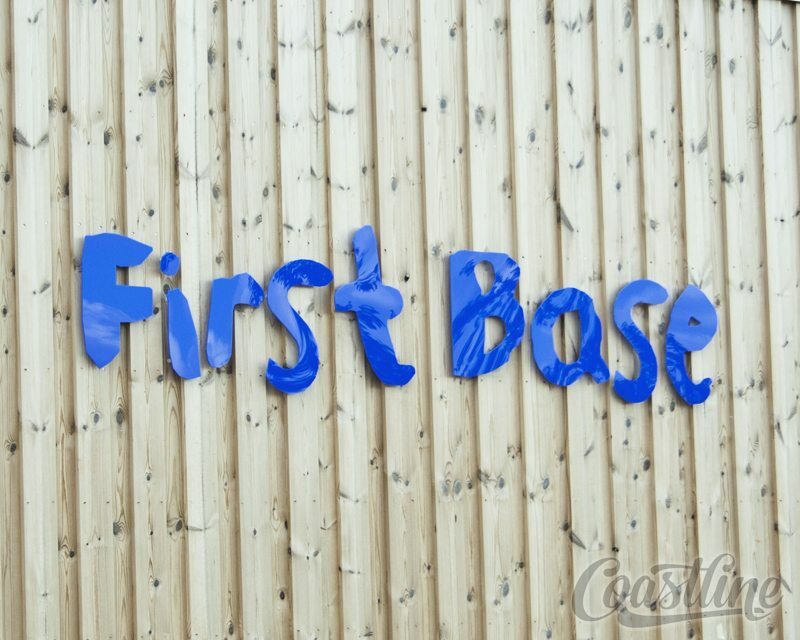 Coastline Graphics can supply everything you need to make a big impact at your event. 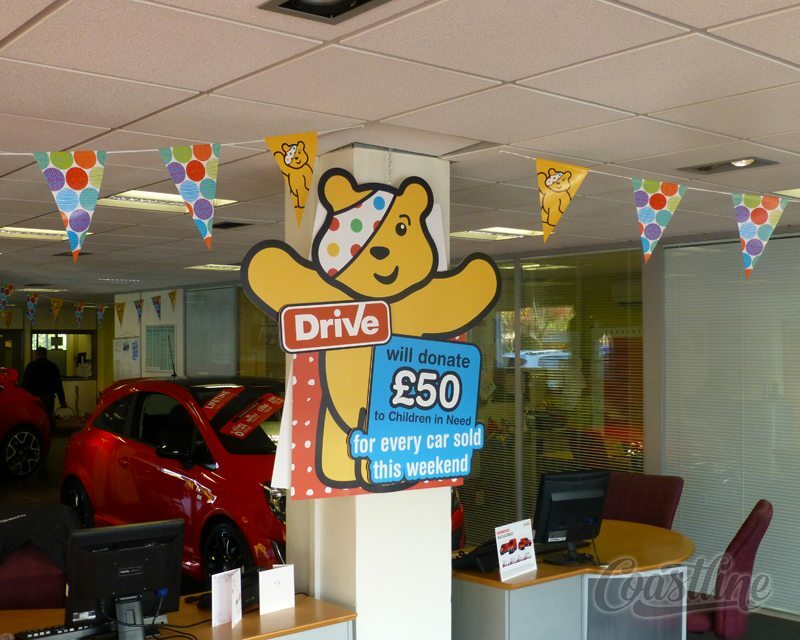 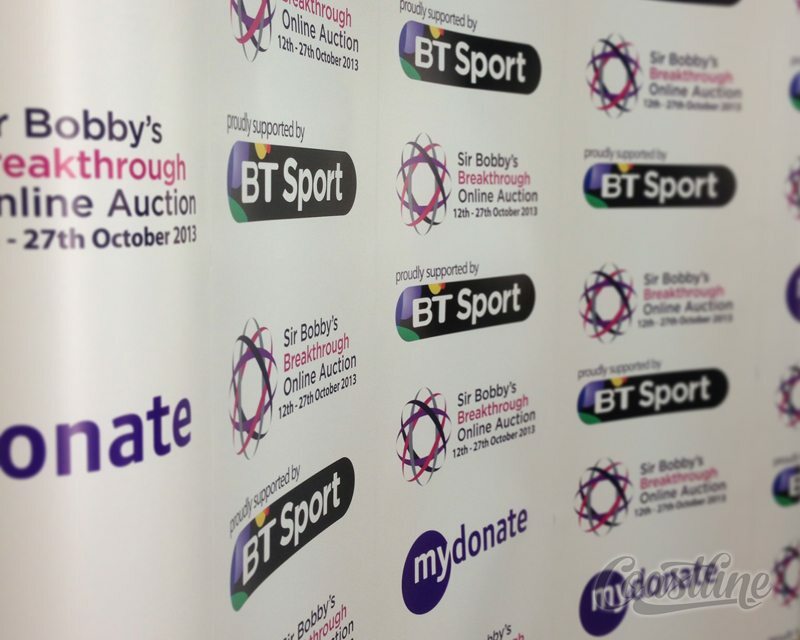 Our comprehensive range of Pop-Up banners suit any occasion and offer great value for money. 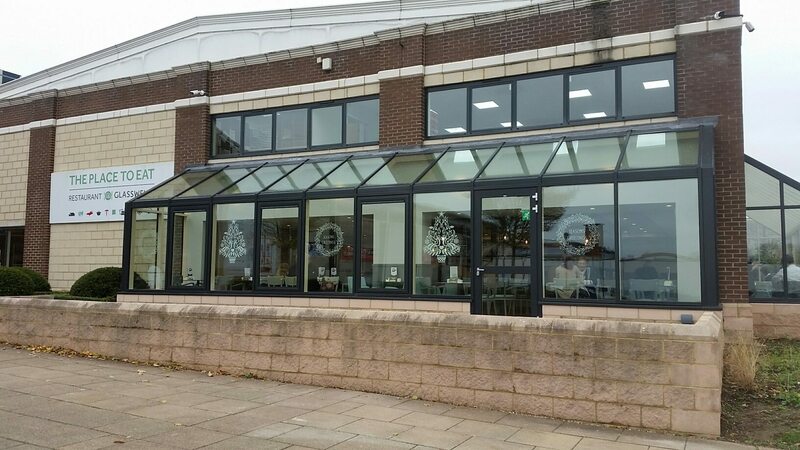 The systems are constructed from a durable anodised aluminium and have a self-winding mechanism meaning they can be clasped down in seconds and transported in the lightweight padded carry bag that we supply as standard. 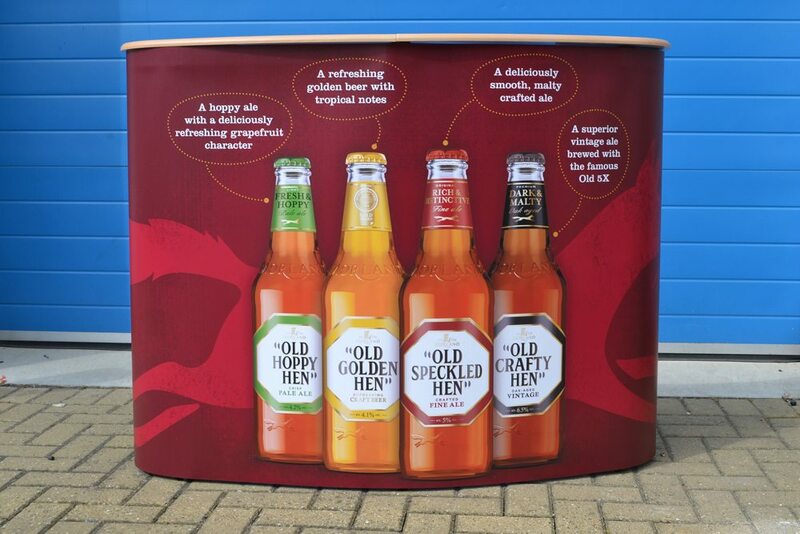 We can also supply Curved Pop-Up Exhibition Stands and Counters that can be assembled in minutes. 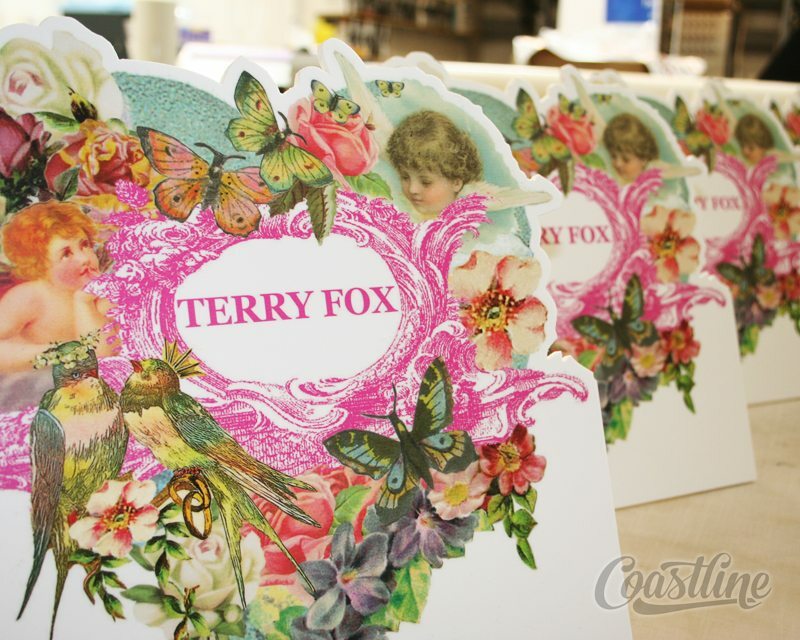 The graphics are printed directly onto Hydrosol material which is of premium quality. 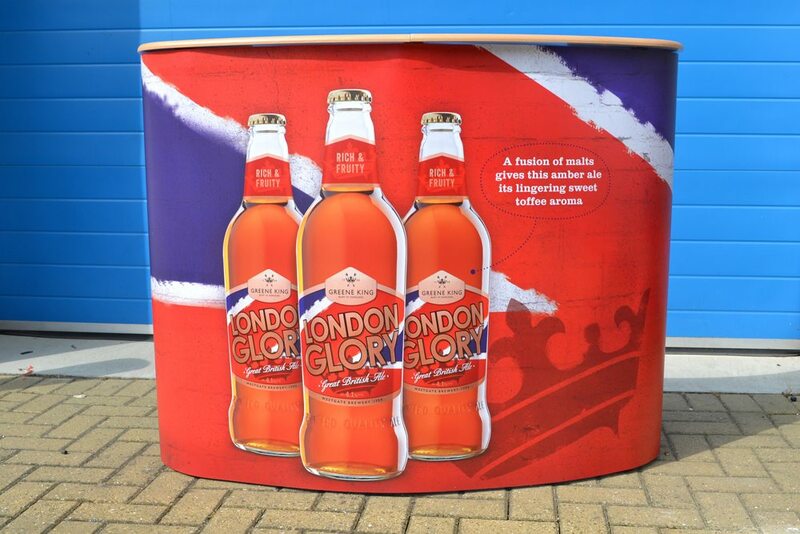 The graphics are attached to the curved frame when at you event using the magnetic bars supplied. 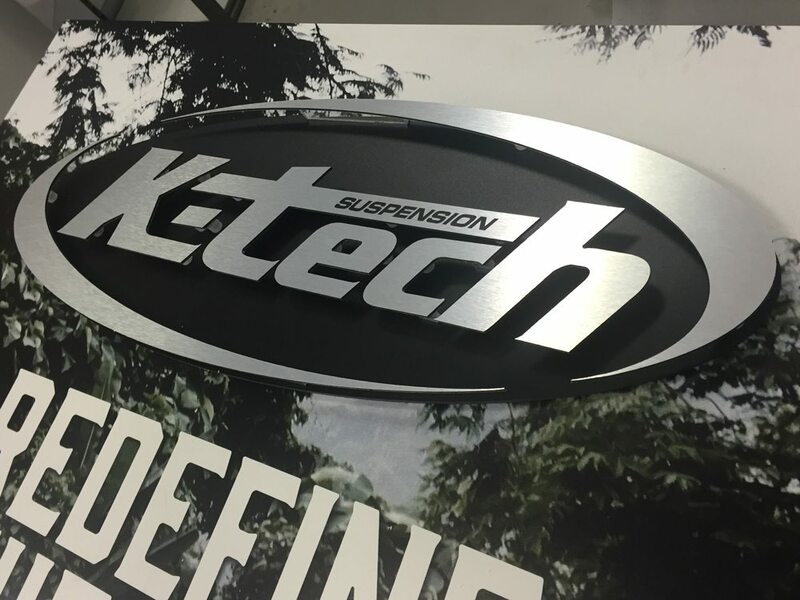 The system comes complete with a high quality fully rigid wheeled trolly case for easy transportation and optional lights. 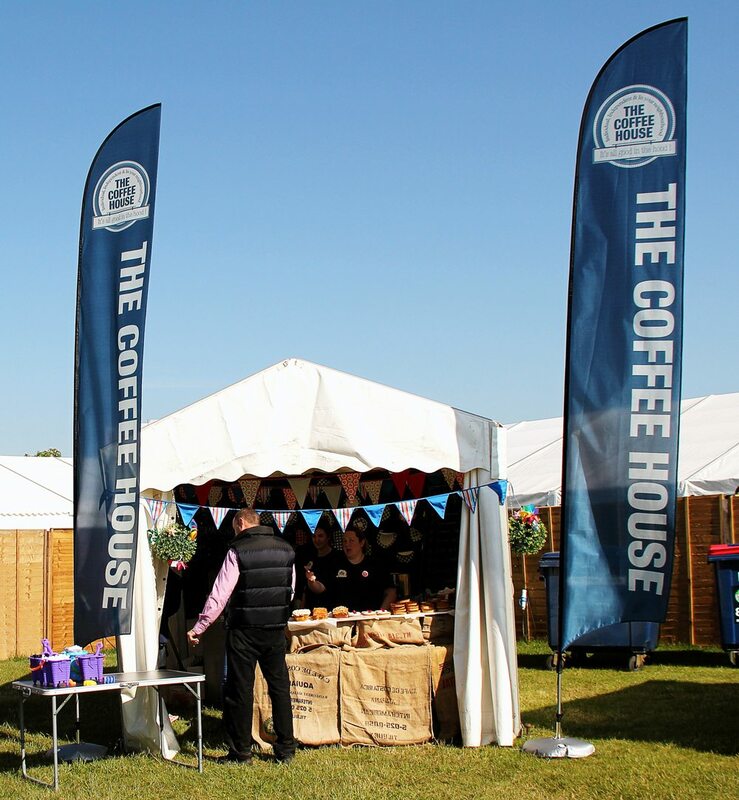 Flags and Banners are perfect for corporate events, festivals and exhibitions. 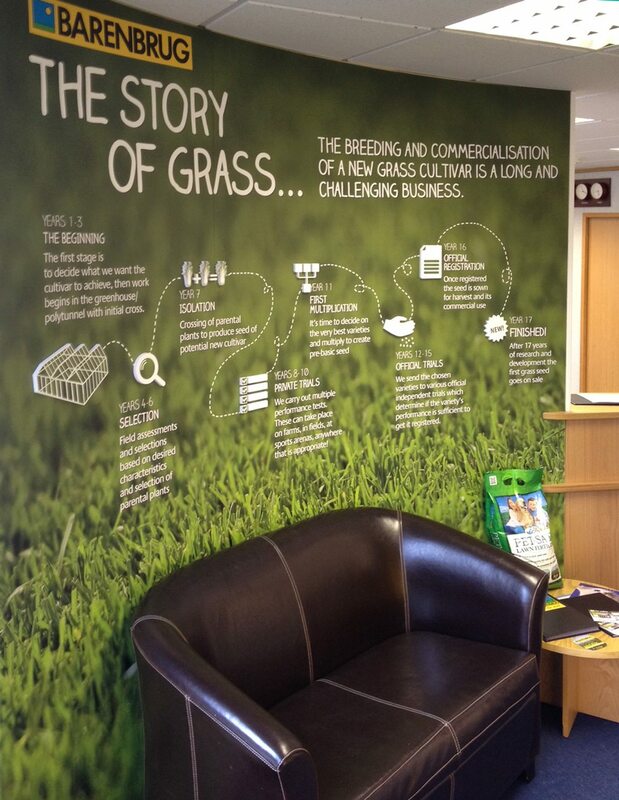 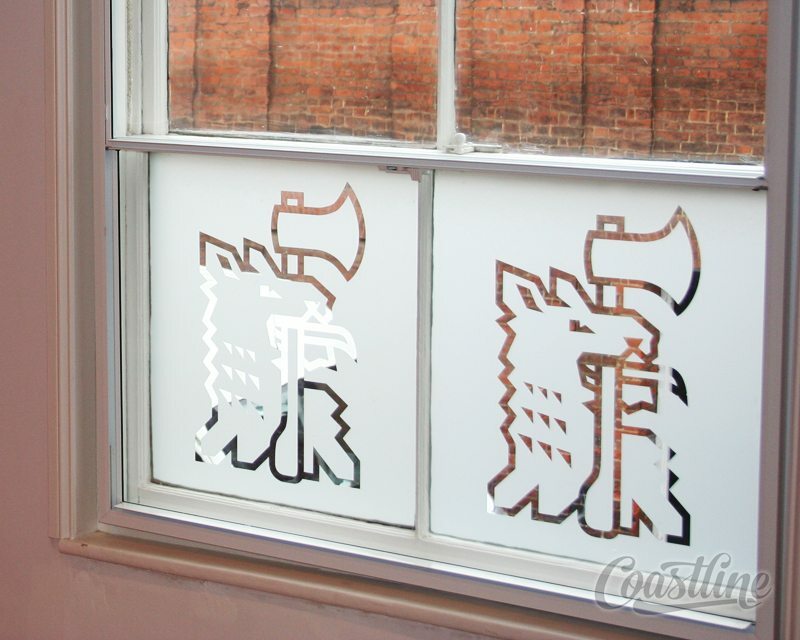 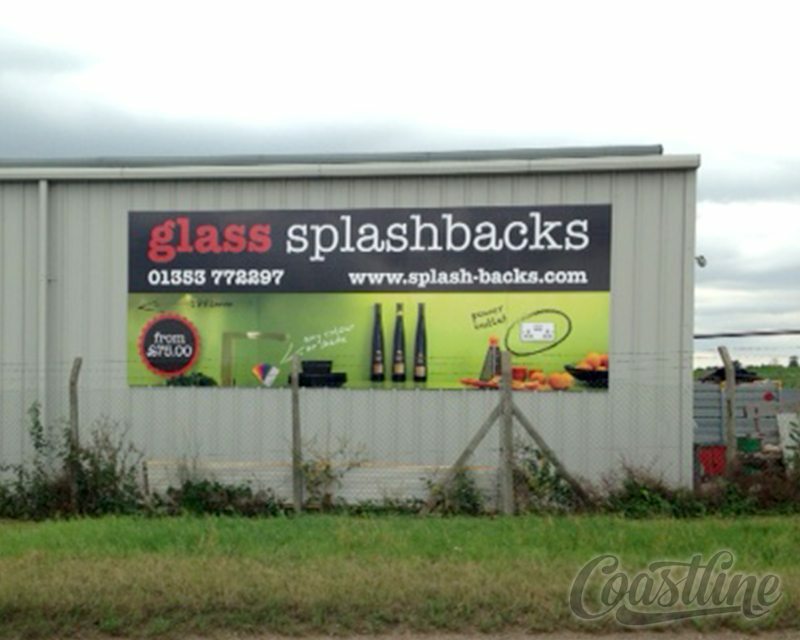 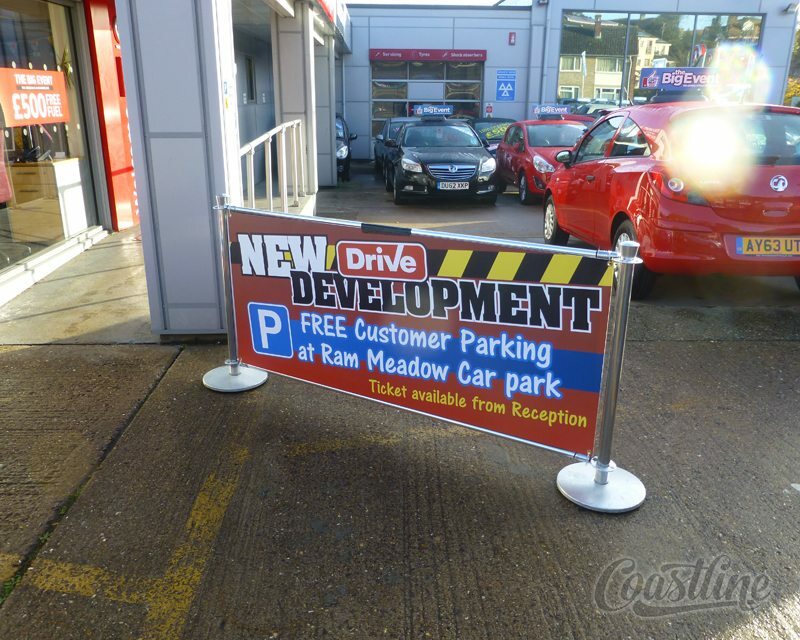 They are very cost effective and provide an instant visual impact. 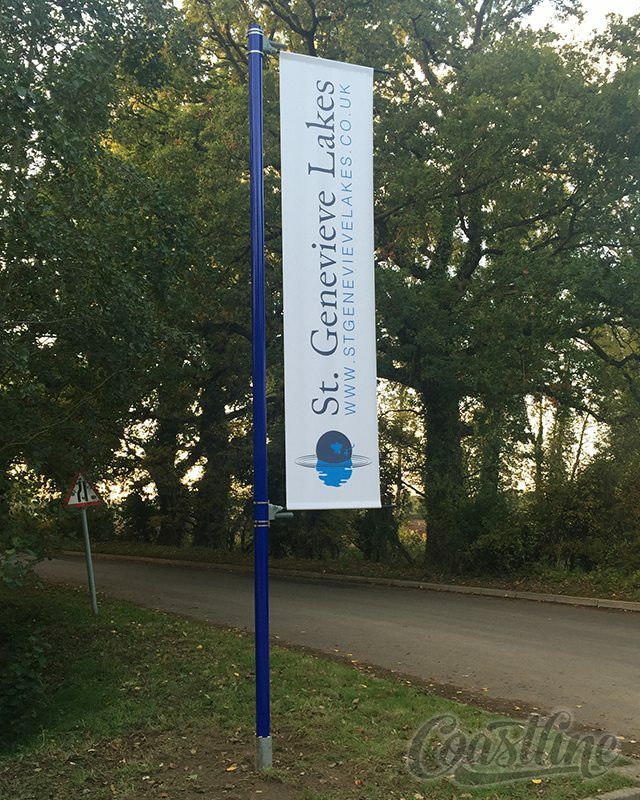 Banners are typically for outdoor use and come equipped with eyelets so they can be easily attached to a frame or fastened to a fence or railings. 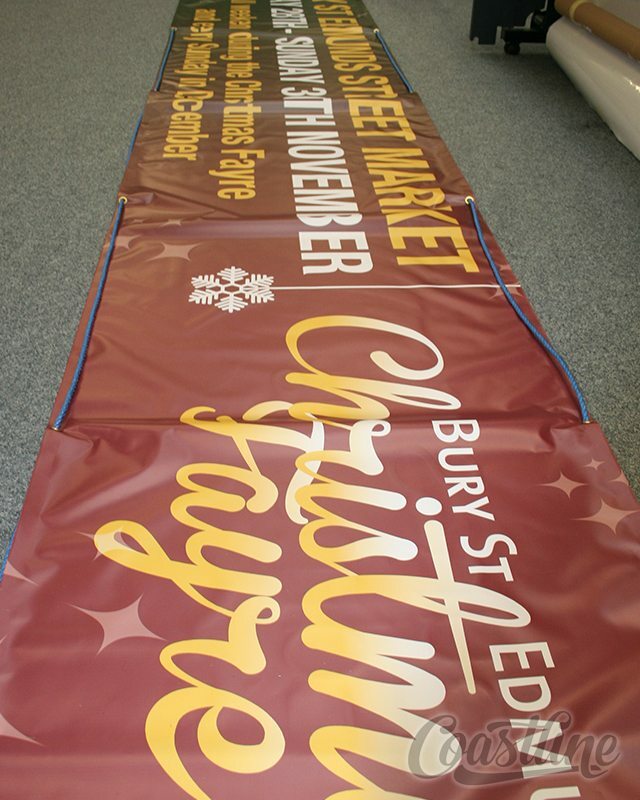 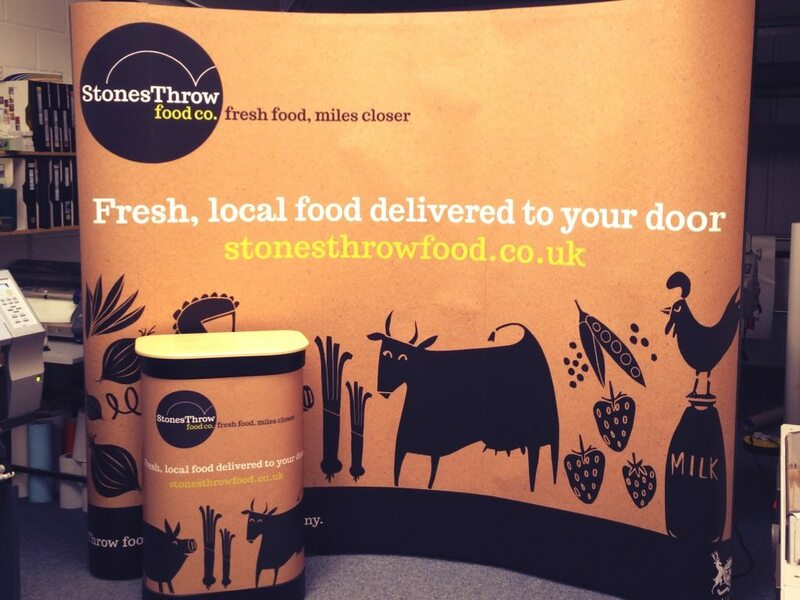 We are able to produce bespoke single or double sided PVC banners to virtually any size. 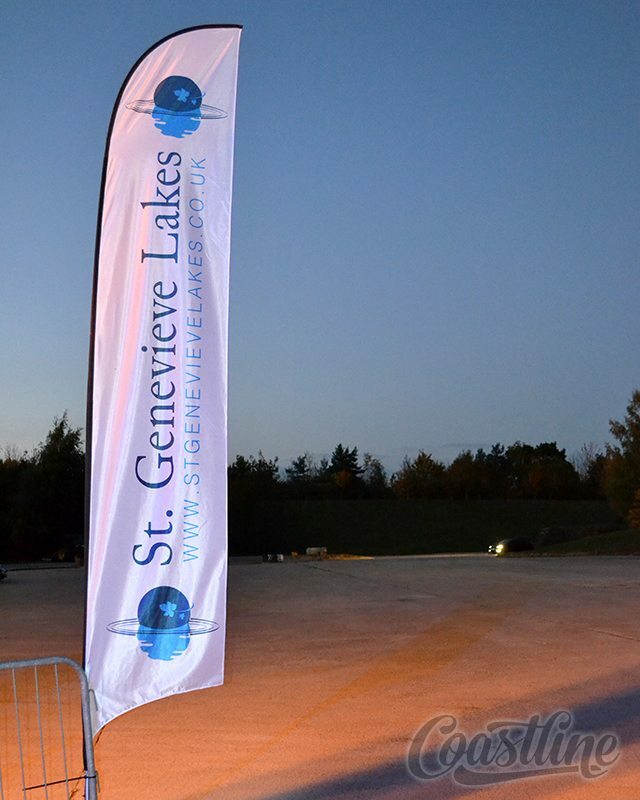 Illuminated signs are one of the best ways to convey your band or promotional message, especially at night or during the dark winter months. 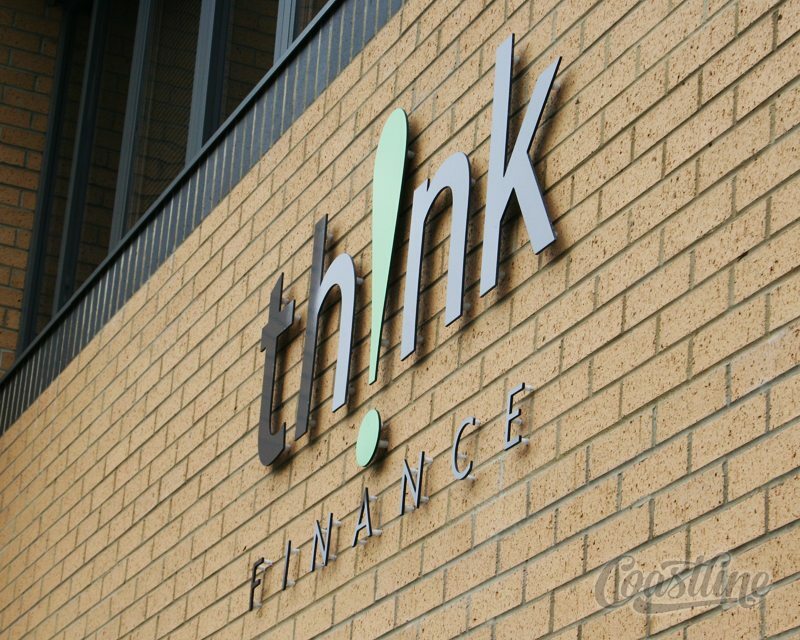 We offer many different types of illuminated signage; from traditional light boxes to individual ‘built up’ 3D letters with internal LED illumination. 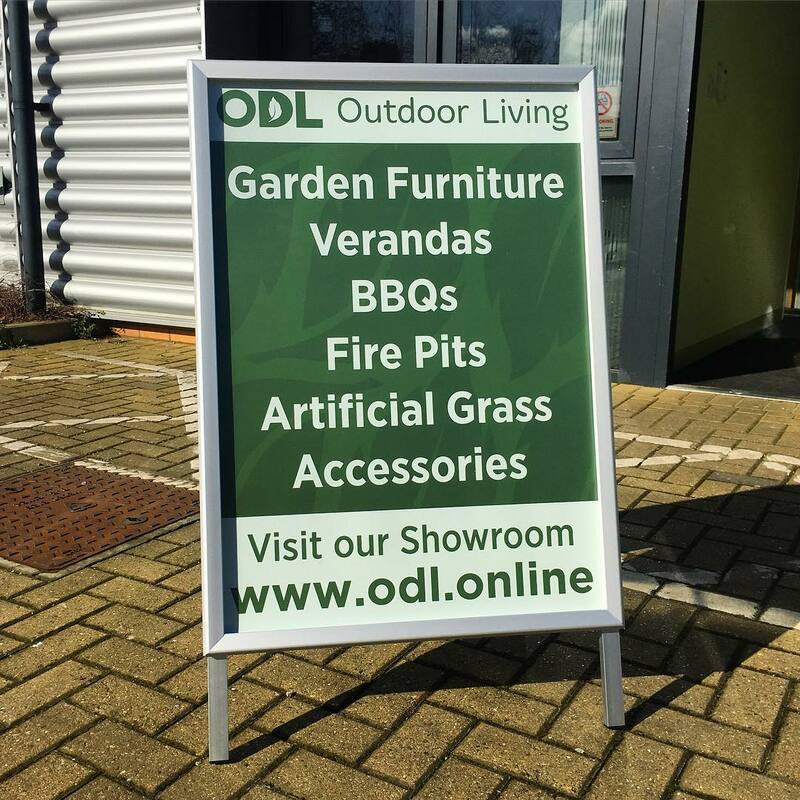 Pavement signs are very effective for high street advertising; they can help you attract new customers into your organisation or promote a special offer you are running. 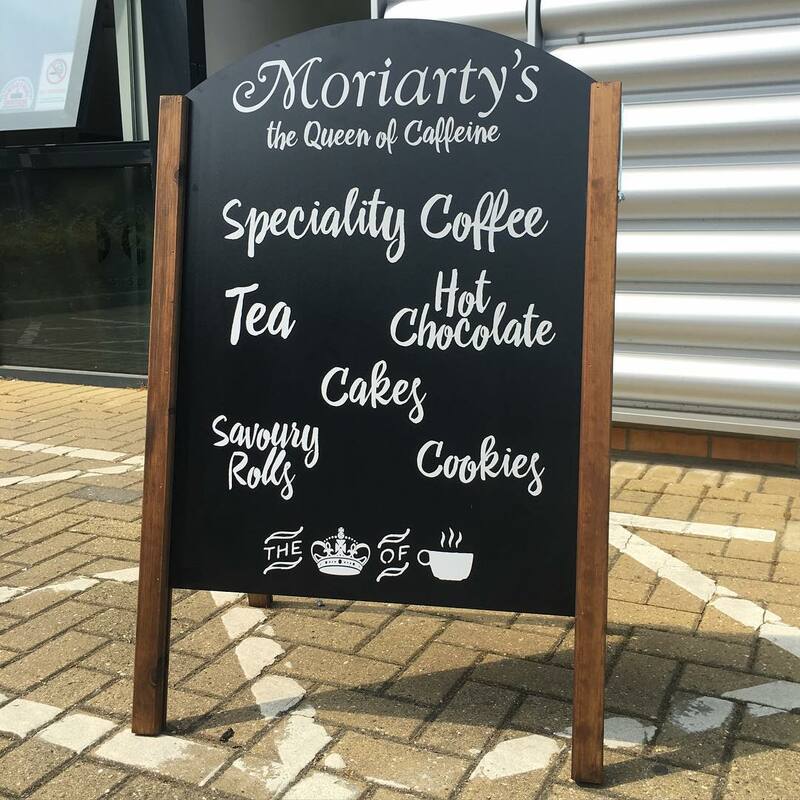 We provide a design and production service for all types of pavement signage including A-boards, swinging signs and chalk boards. 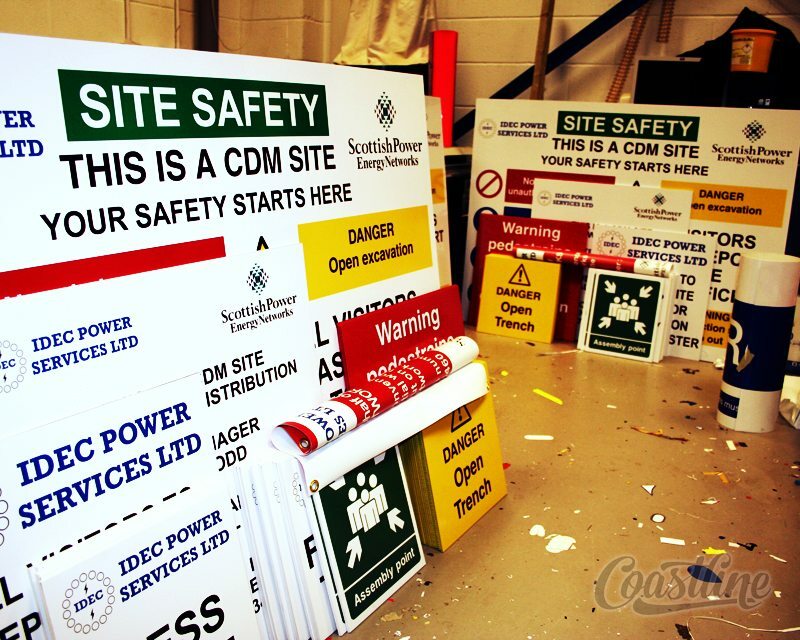 Health and Safety signs are vital within the workplace, they provide assitance and make sure everyone understands the day-to-day risks to be aware of. 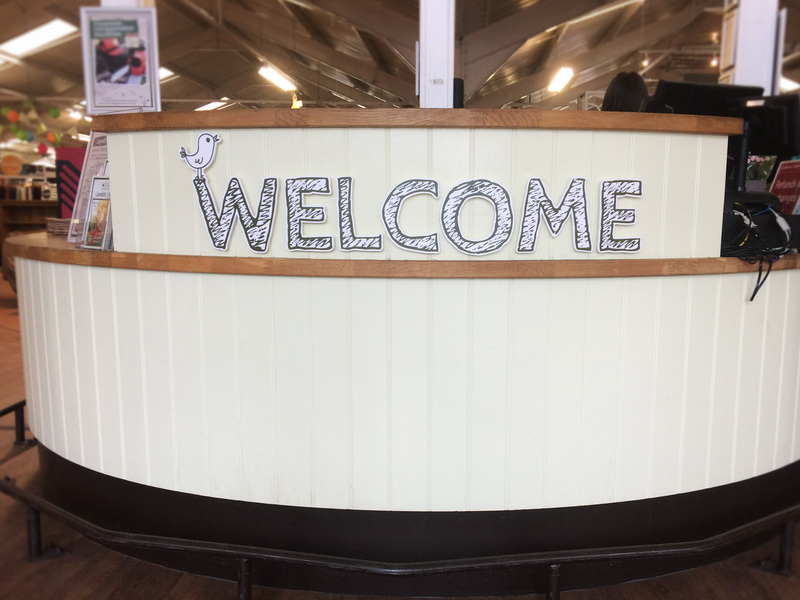 It is an essential part of the business that health and safety is taken care of; that your signs are visable, long-lasting and provide a point of reference for all of your staff. 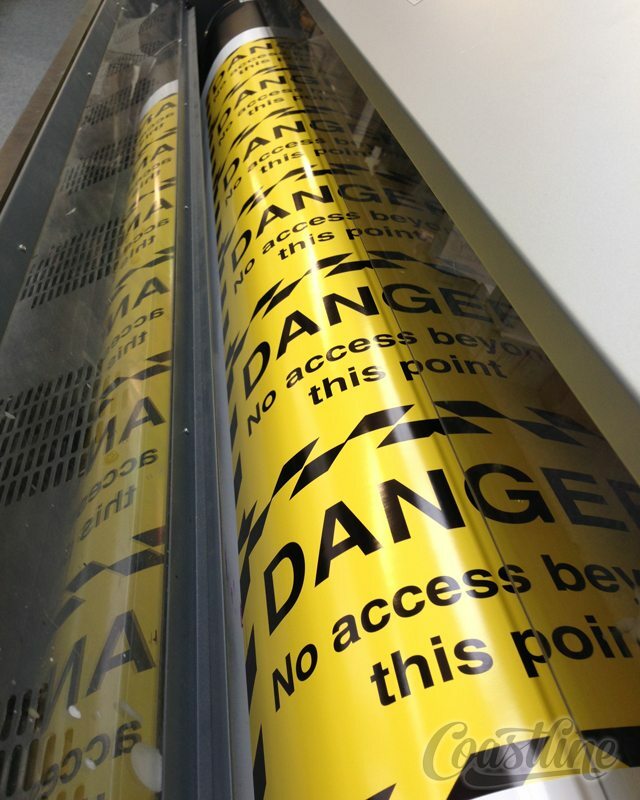 We can artwork and manufacture a wide range of safety signs to not only prevent danger, but also inform everyone how to deal with hazards. 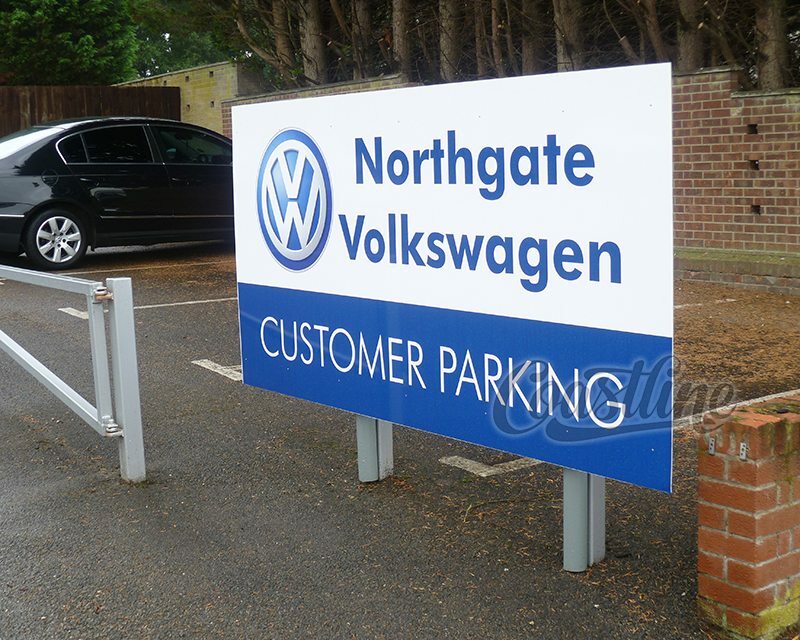 These signs could efficiently reduce accidents within the workplace, not only are they essential but also beneficial. 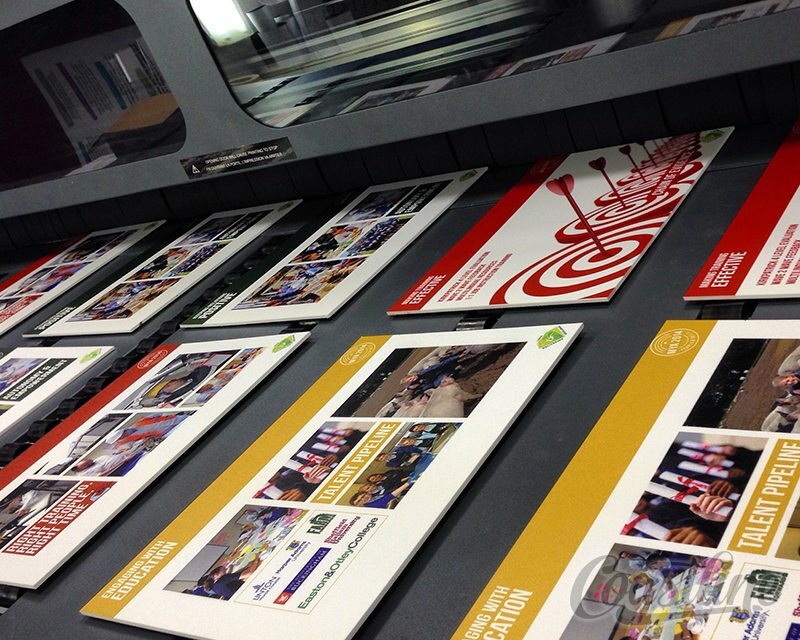 Large format printing is all about making a big impact. 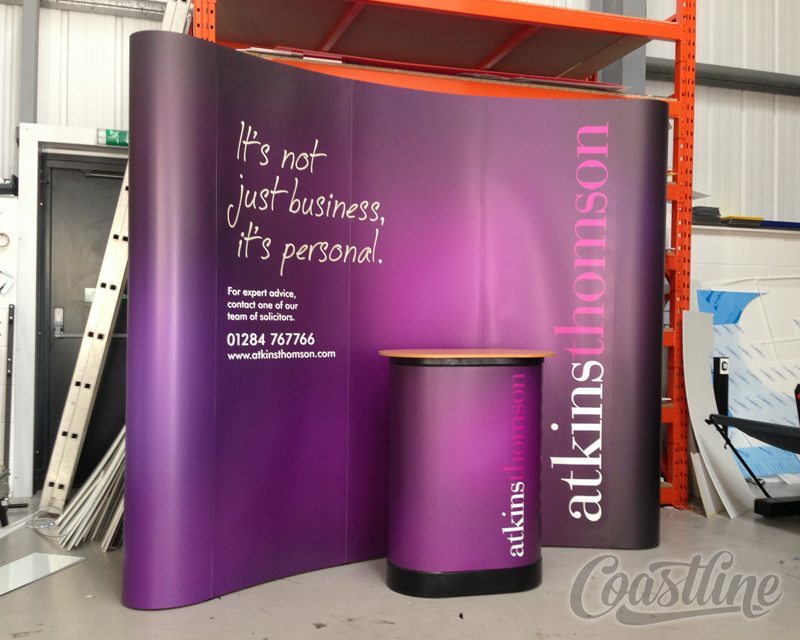 We utilise our large format inkjet printer to create PVC banners, roller banners, exhibition stands, window graphics, hoardings, and much more. 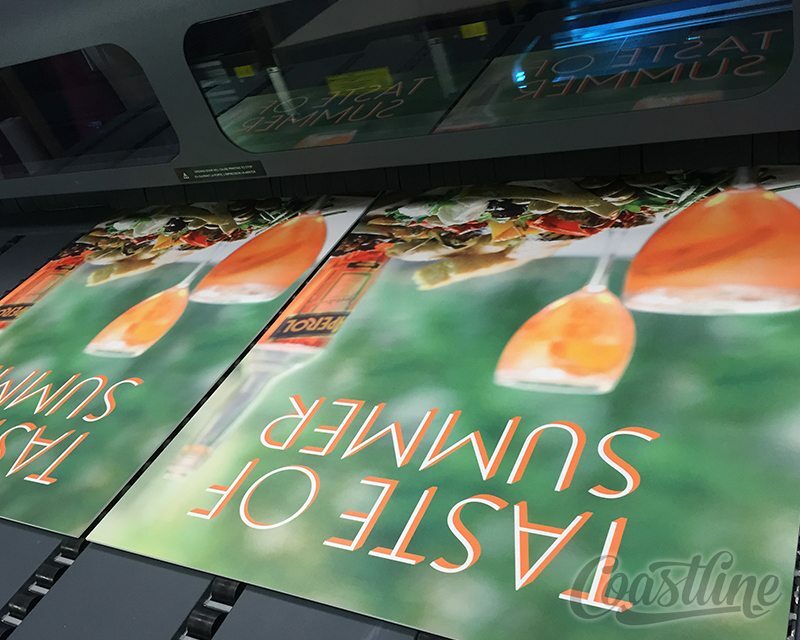 Our state of the art, in house large format, UV printer has the ability to print full colour images directly onto one or both sides of almost any rigid material up to 60mm in thickness. 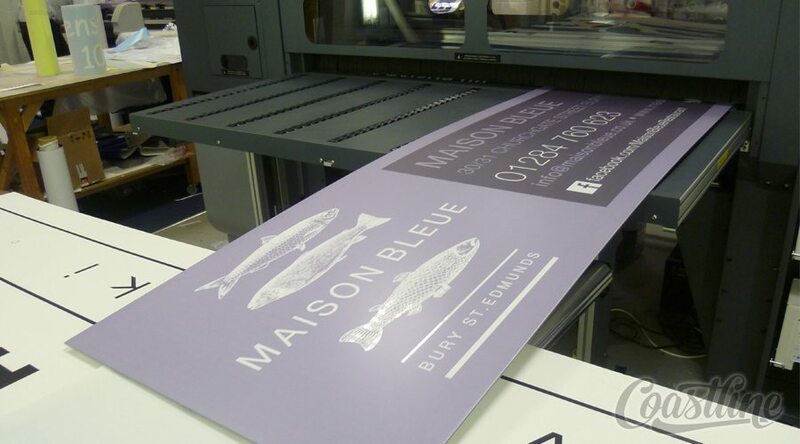 We are also able to print white ink, rather than having to print large areas of coloured ink onto a white background for a small amount of white to show. 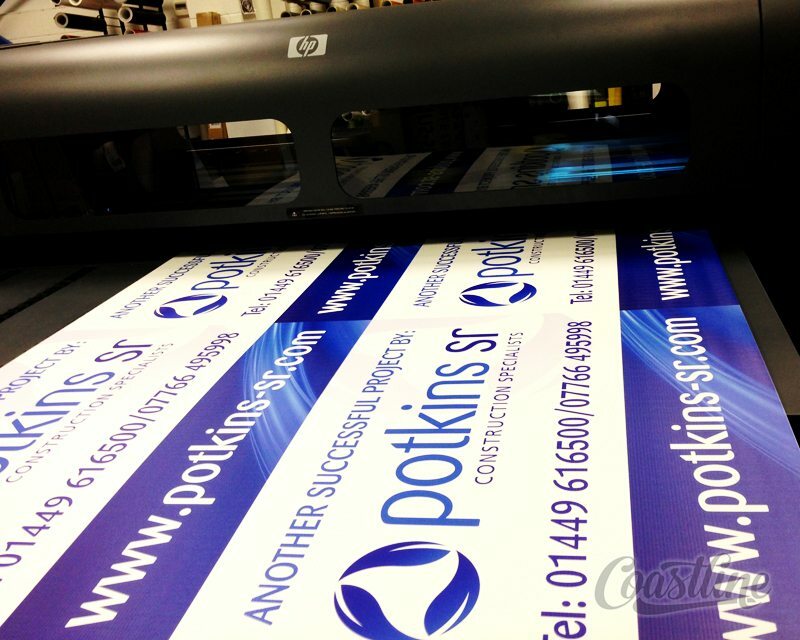 Our large format printer works hand in hand with our flat bed cutter. 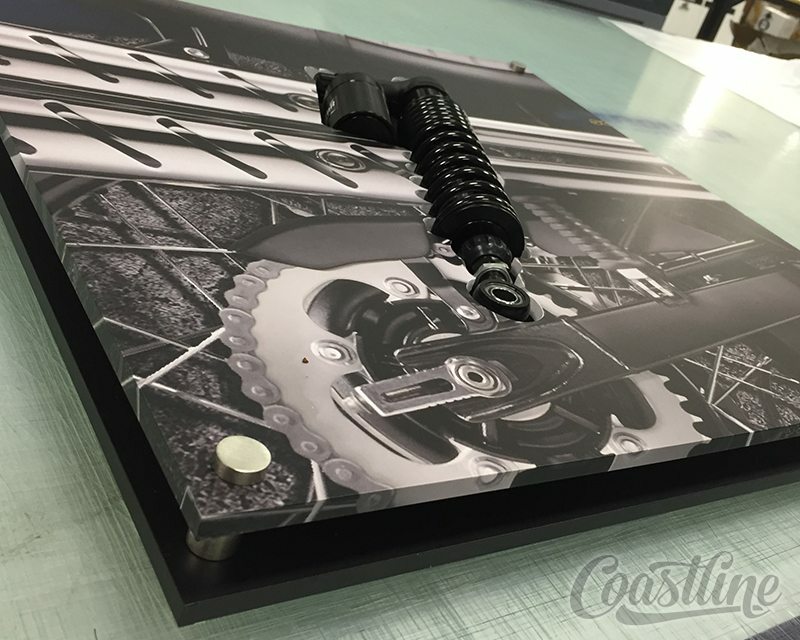 The flatbed cutter’s optical camera detects registration marks printed onto the material for accurate contour cutting.